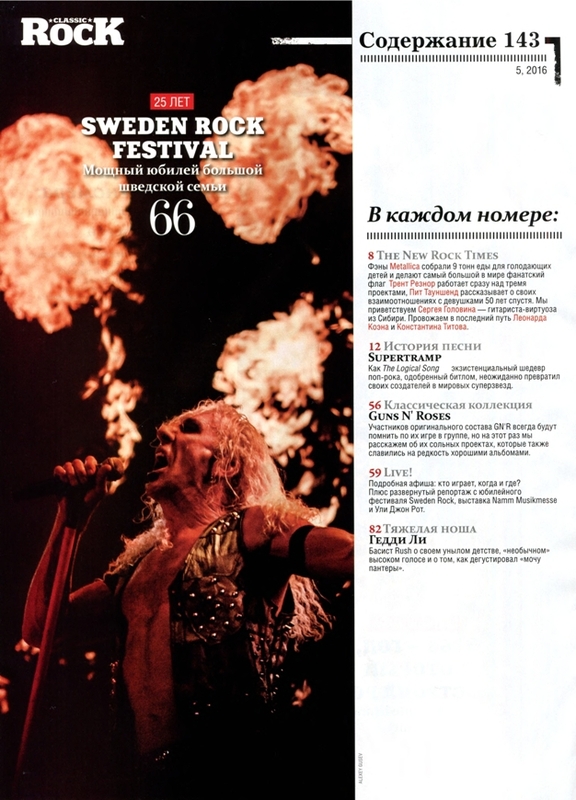 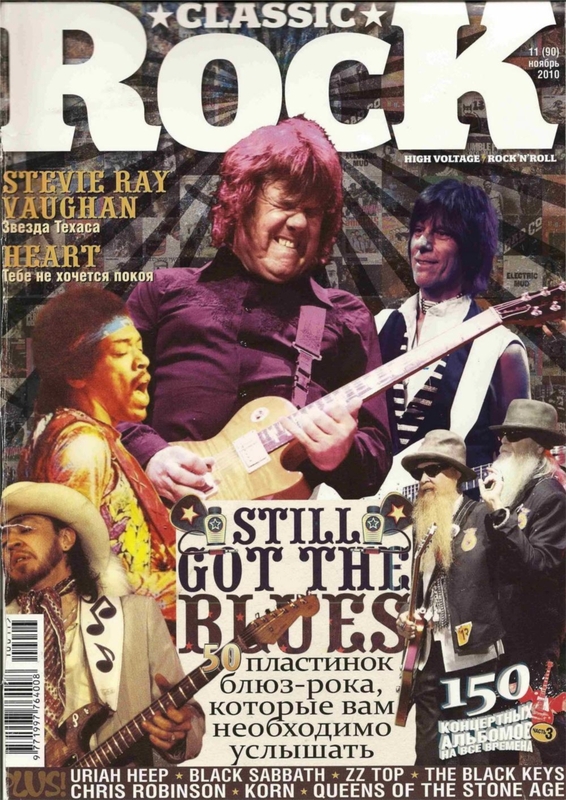 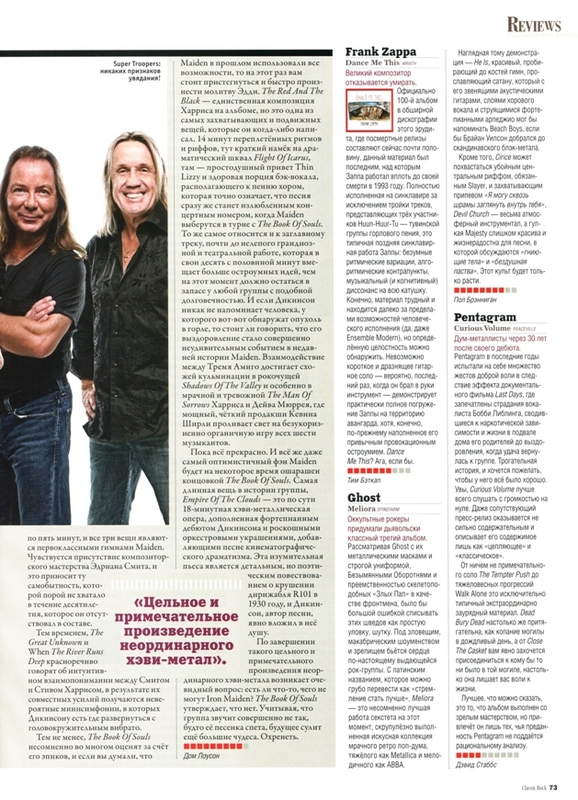 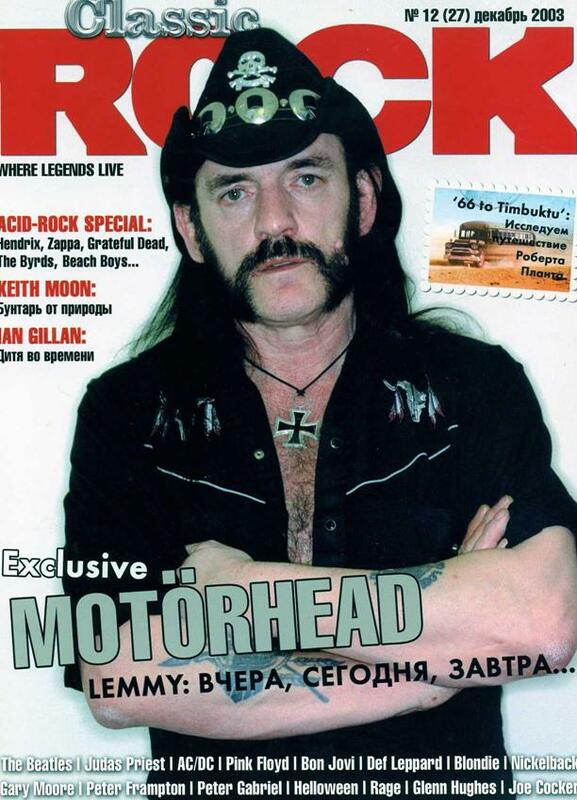 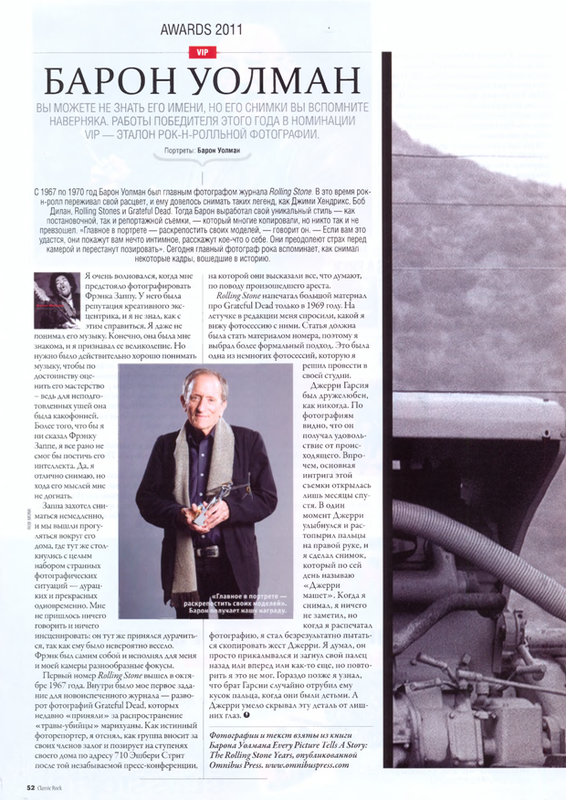 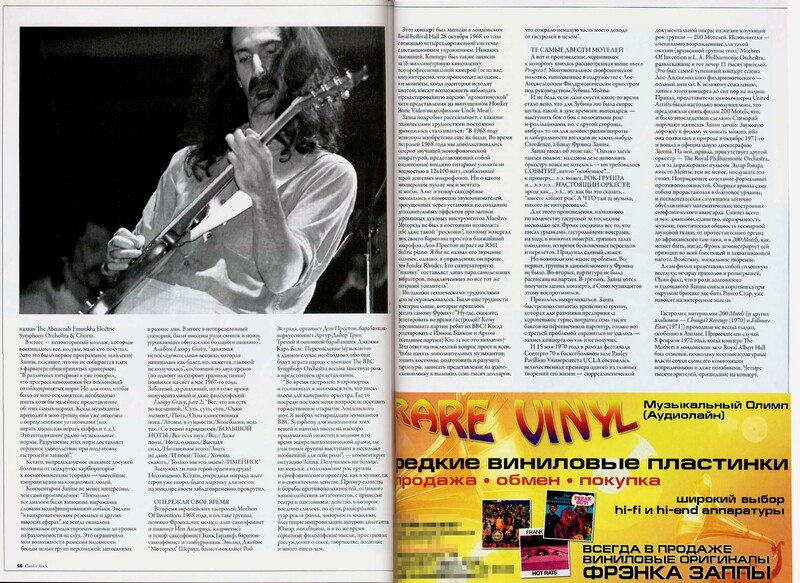 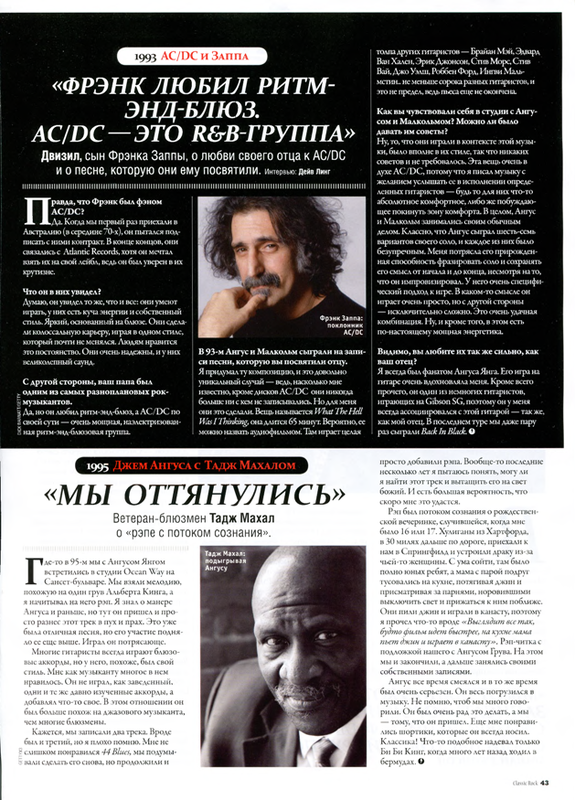 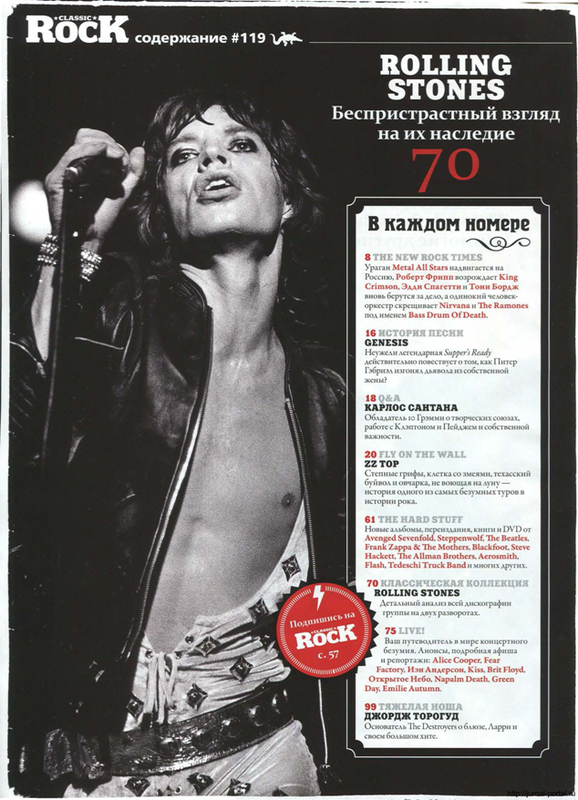 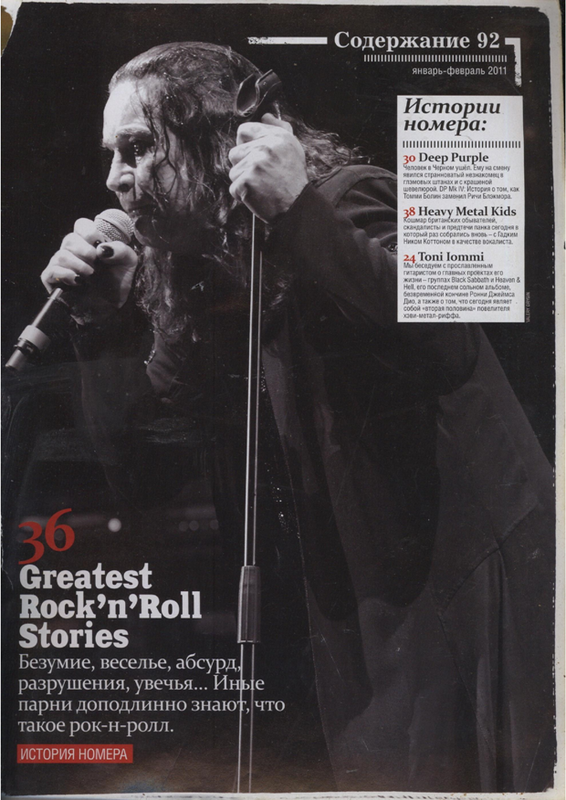 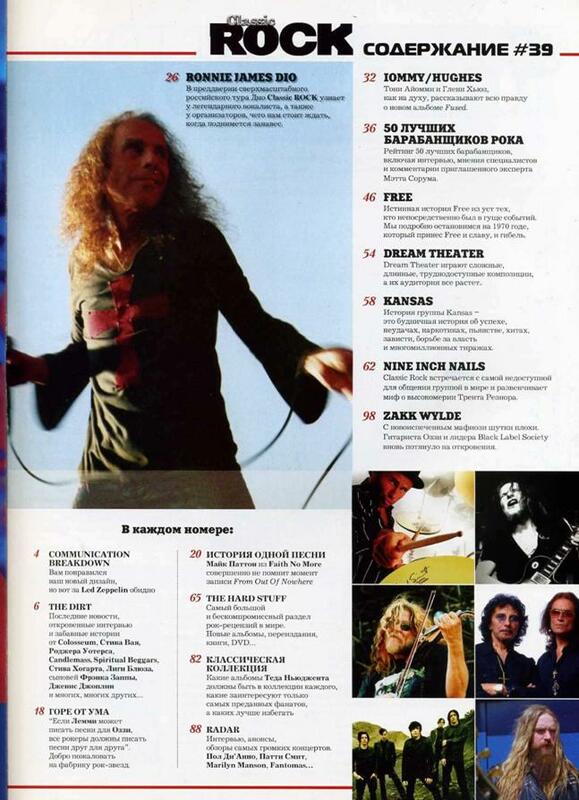 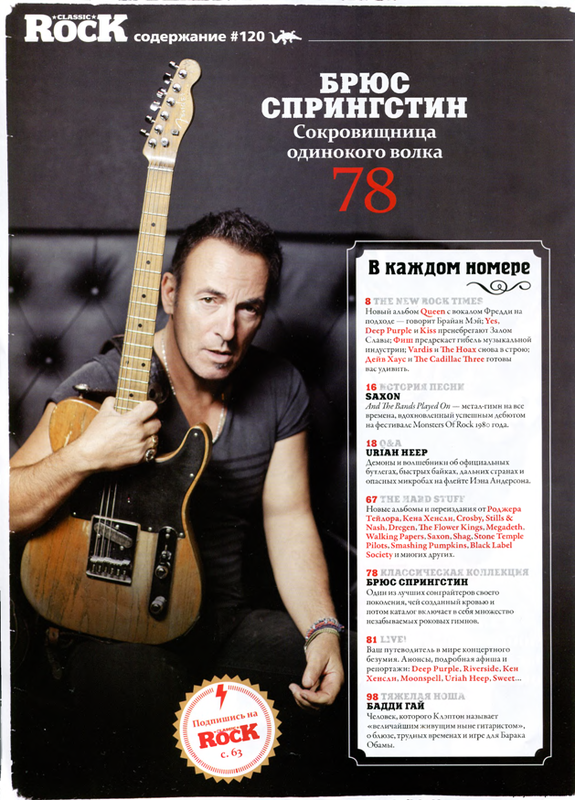 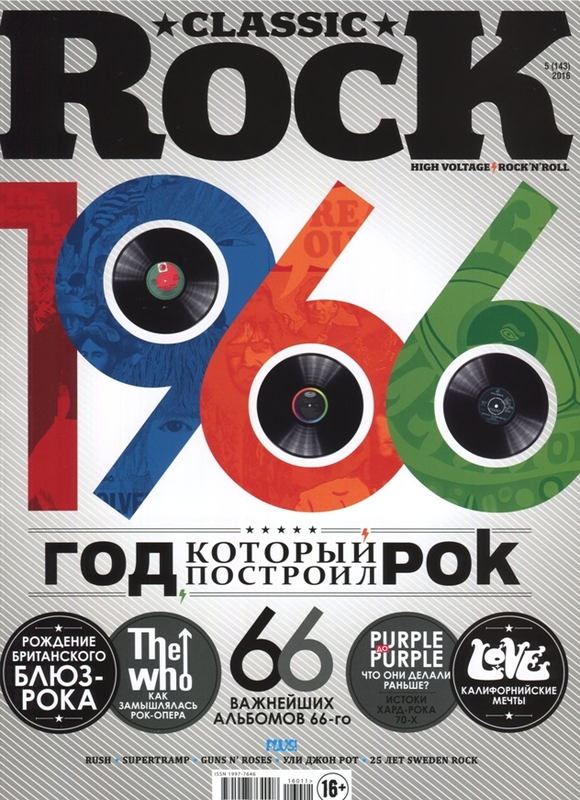 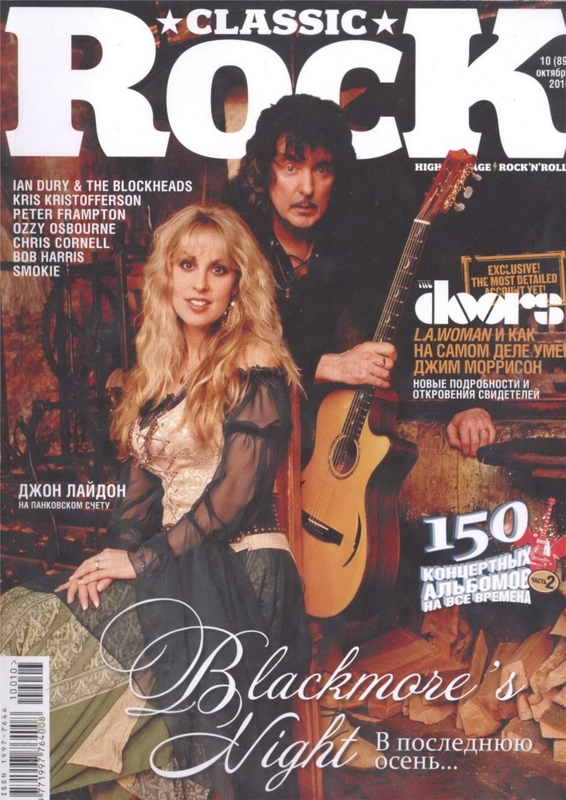 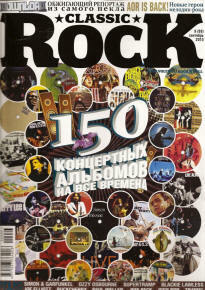 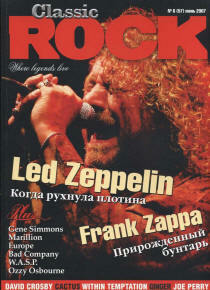 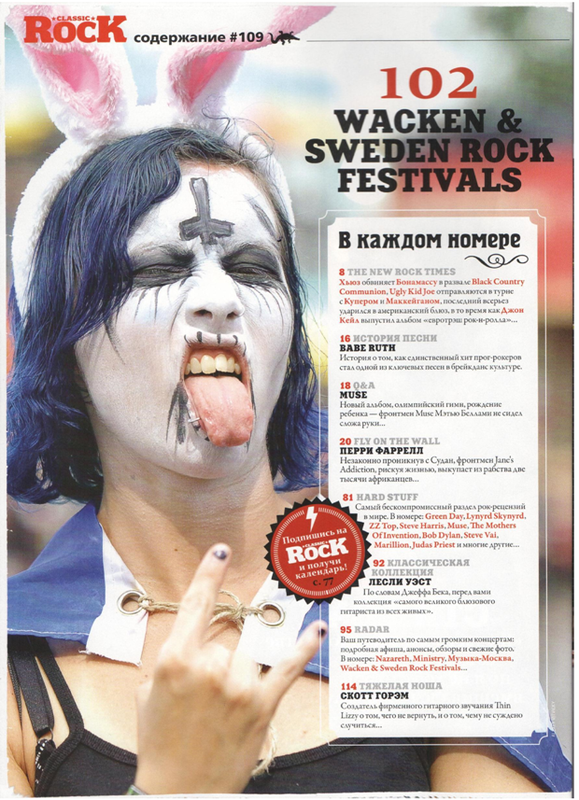 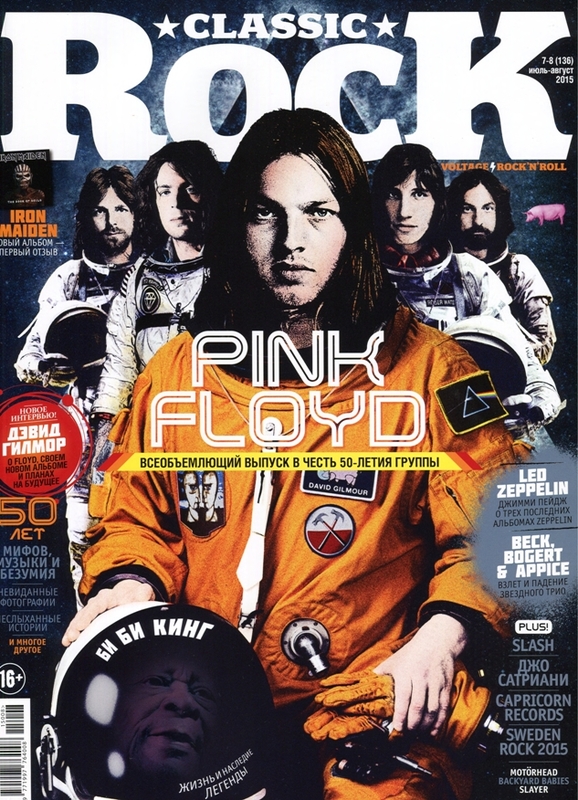 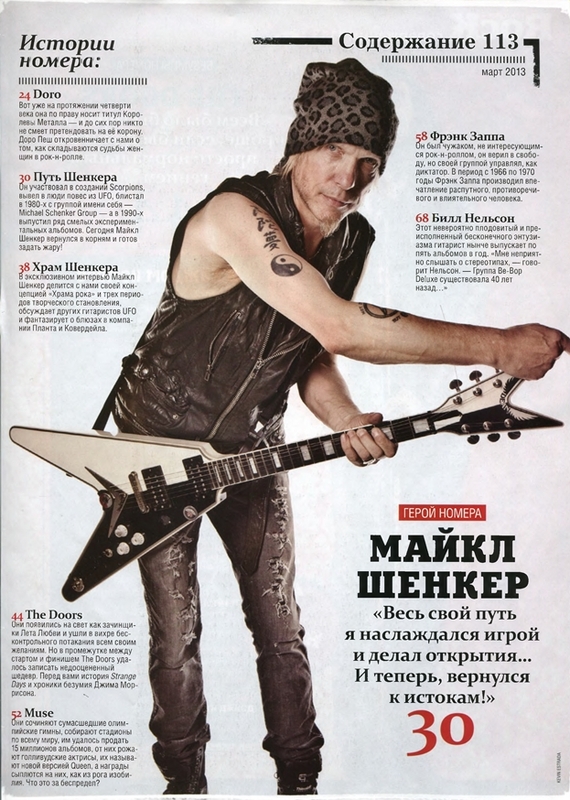 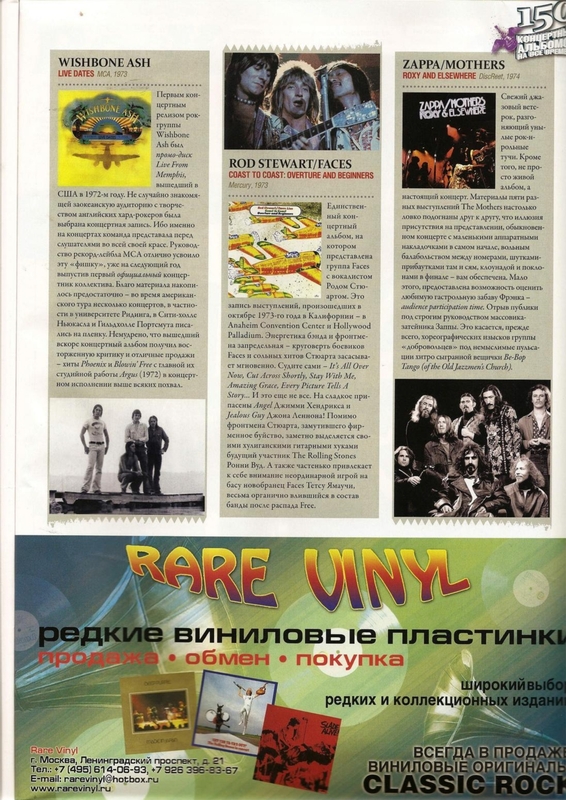 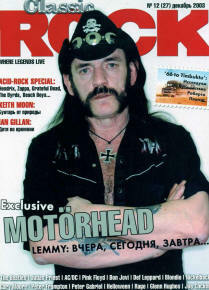 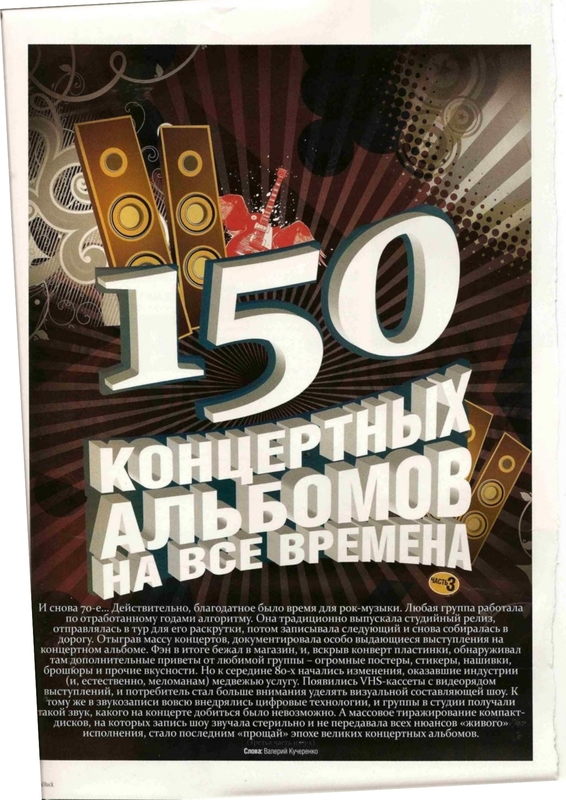 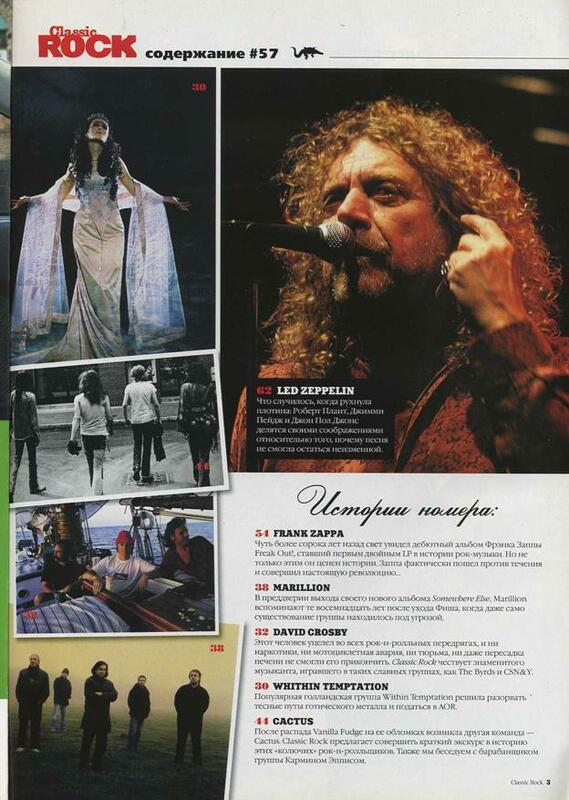 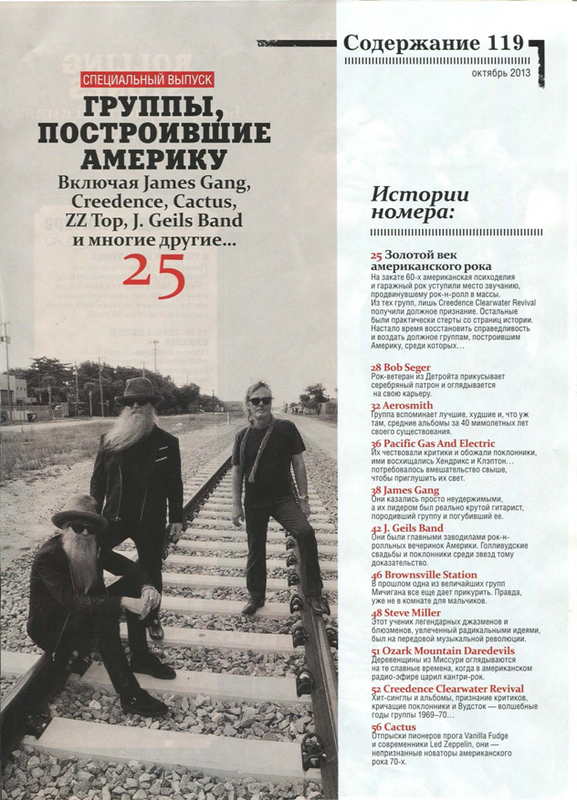 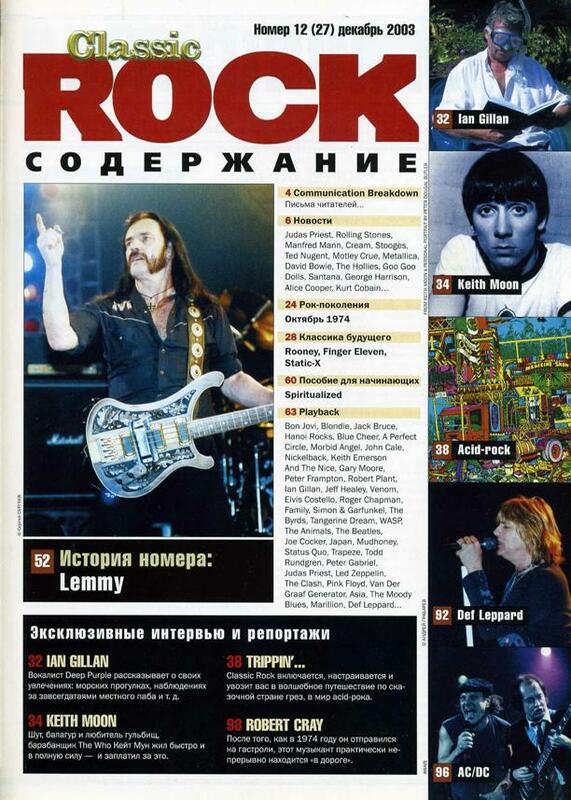 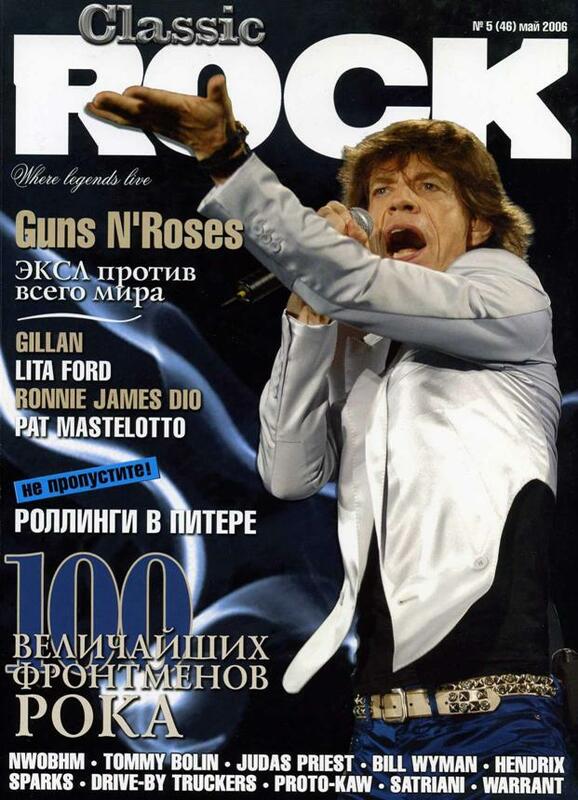 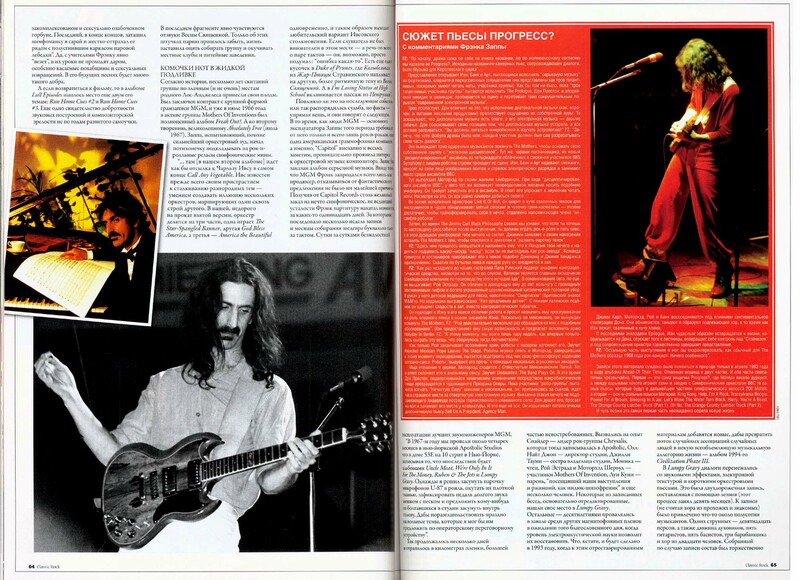 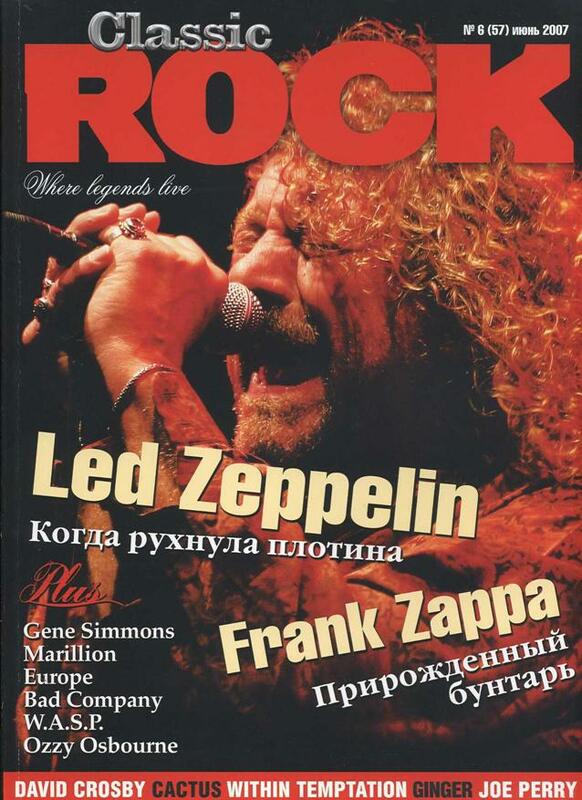 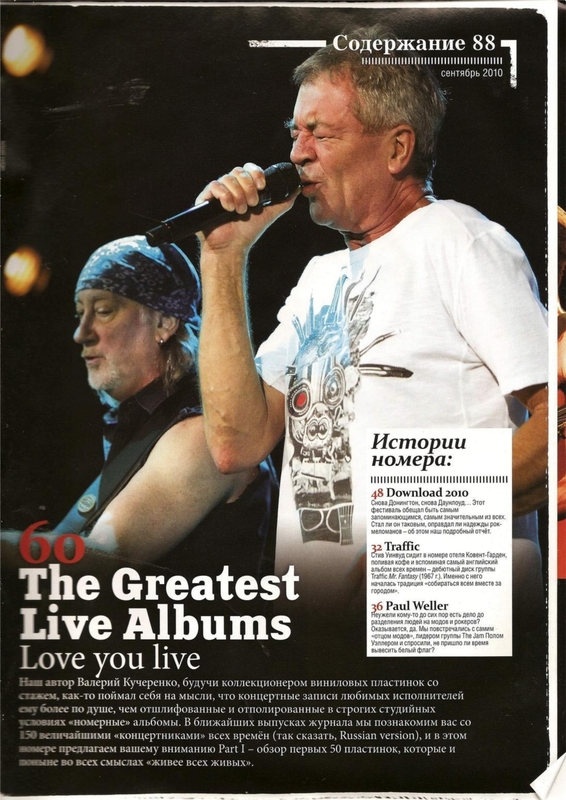 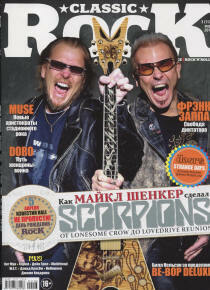 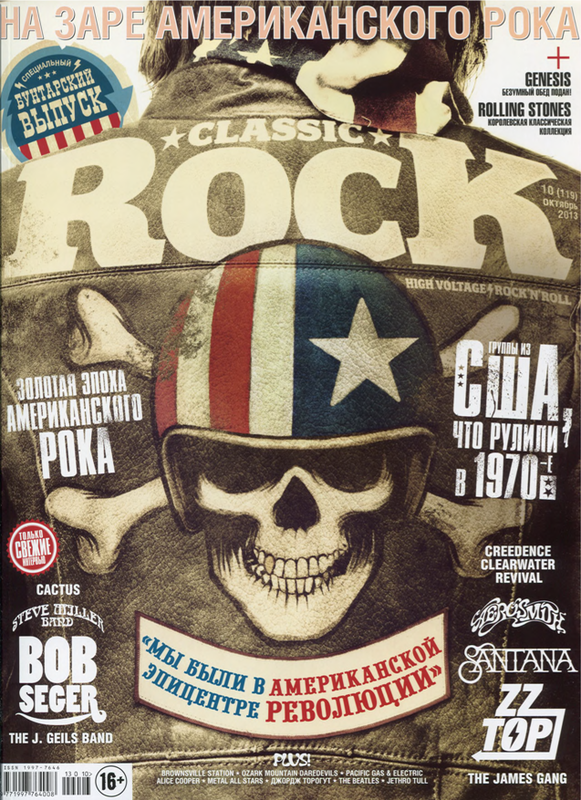 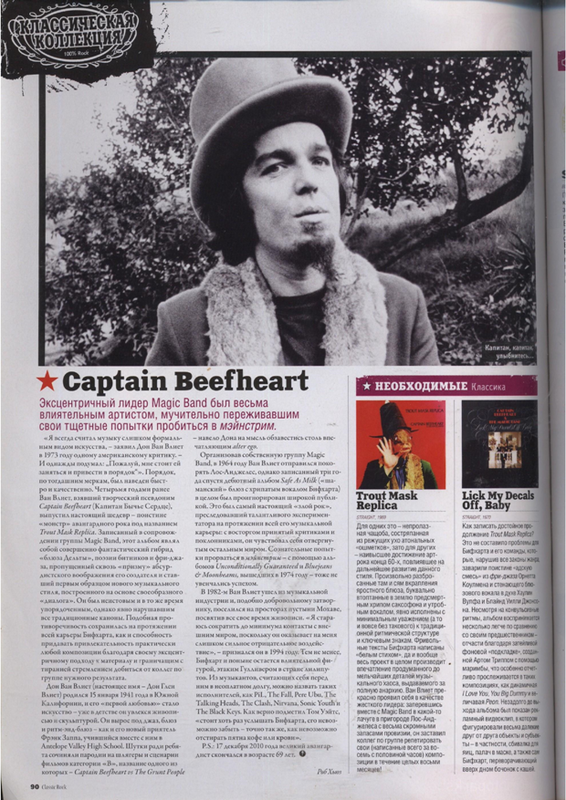 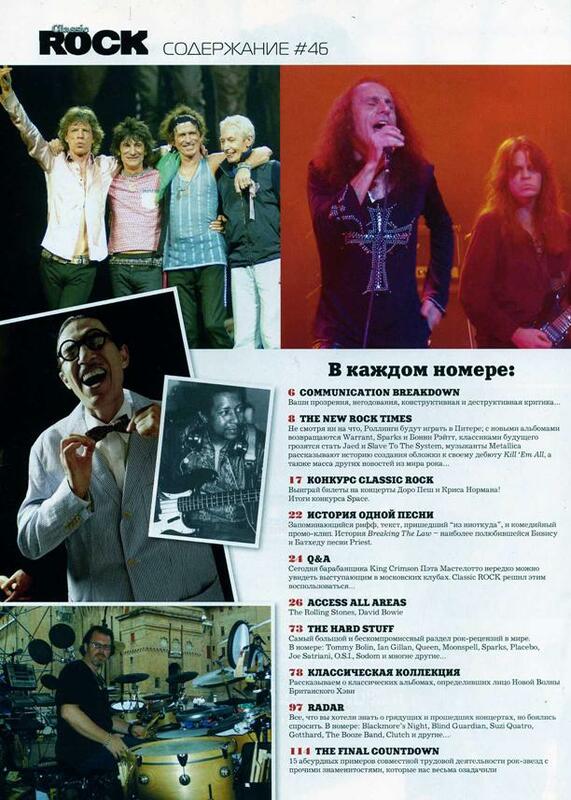 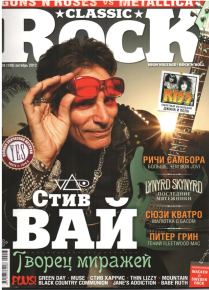 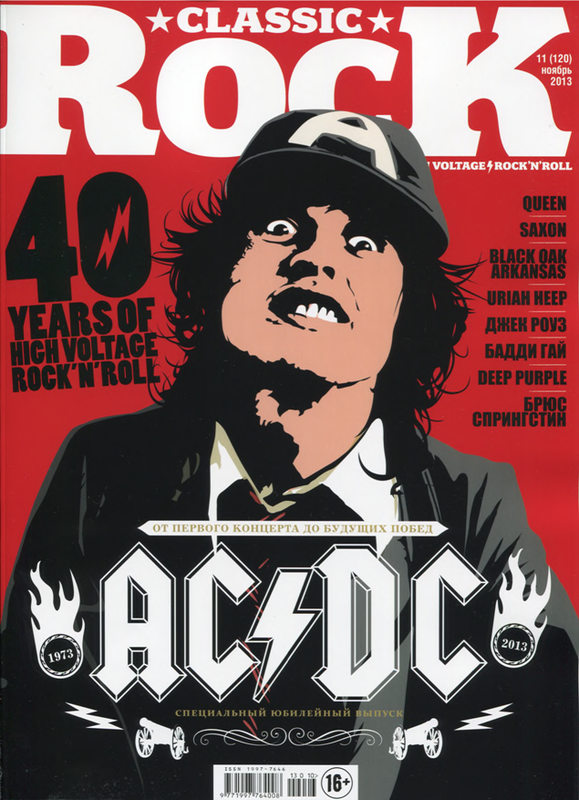 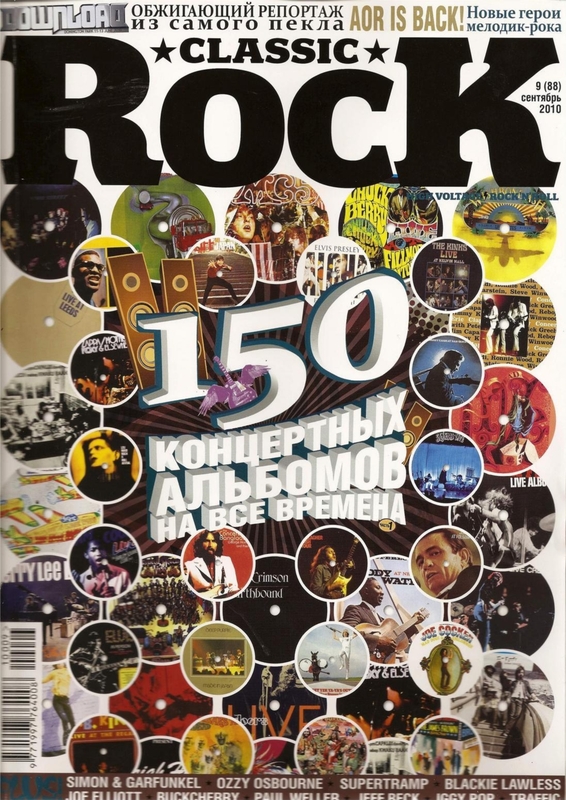 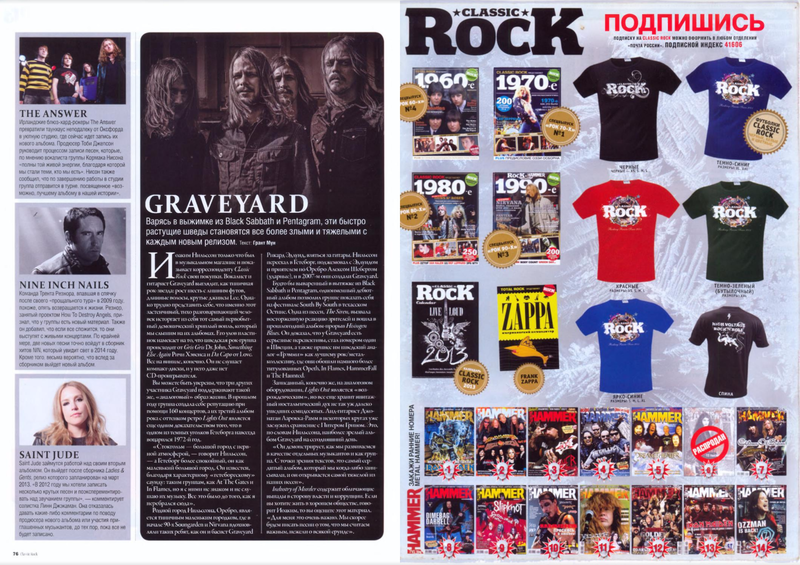 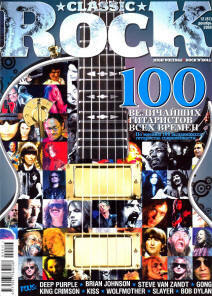 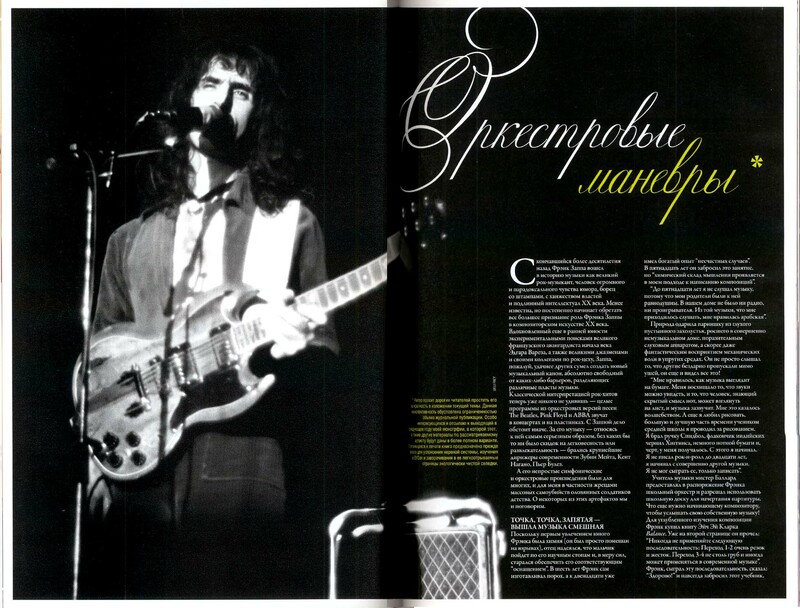 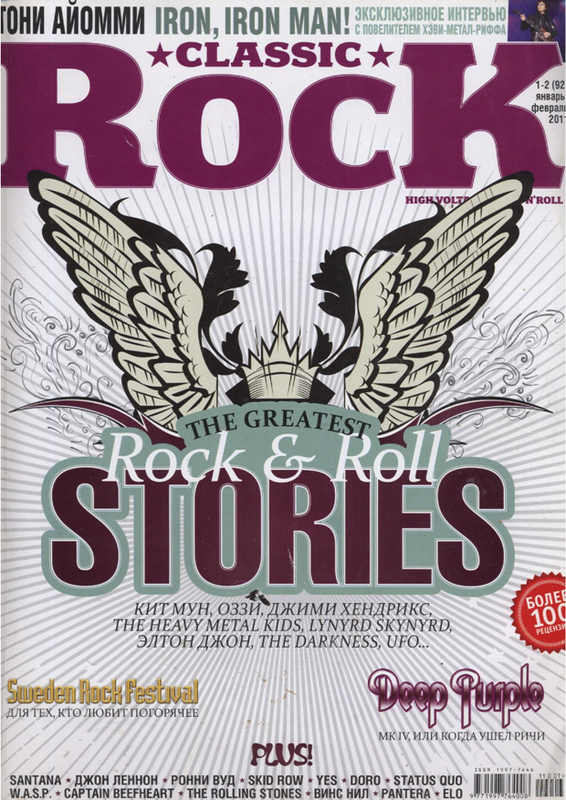 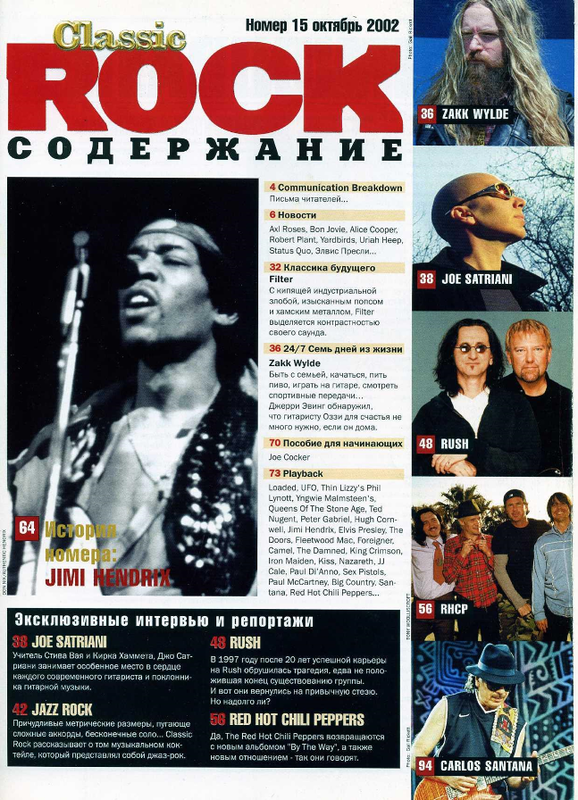 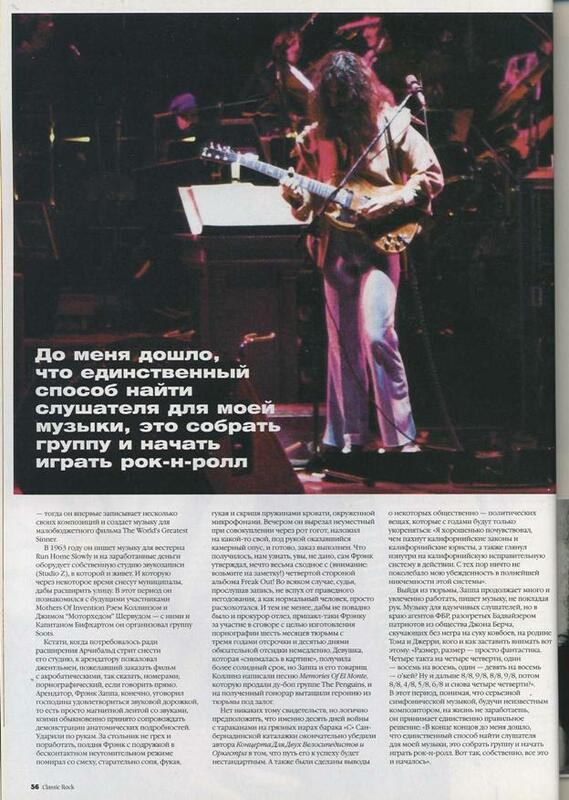 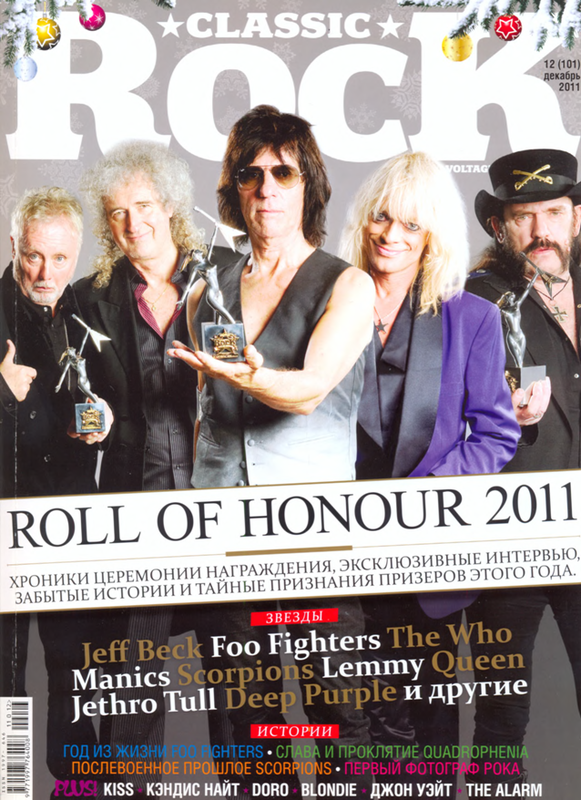 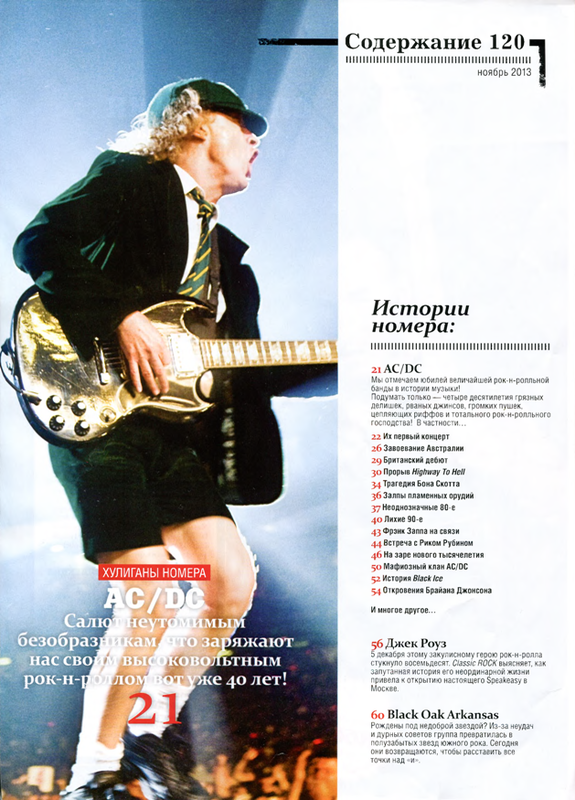 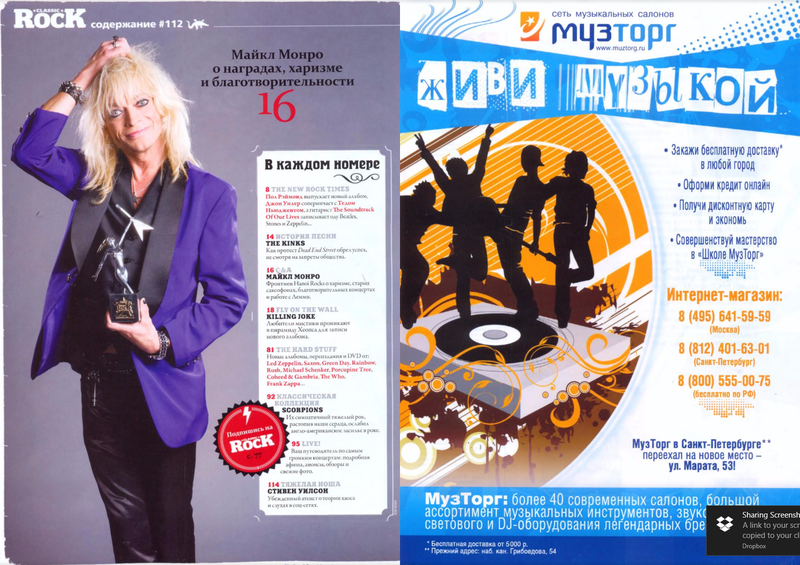 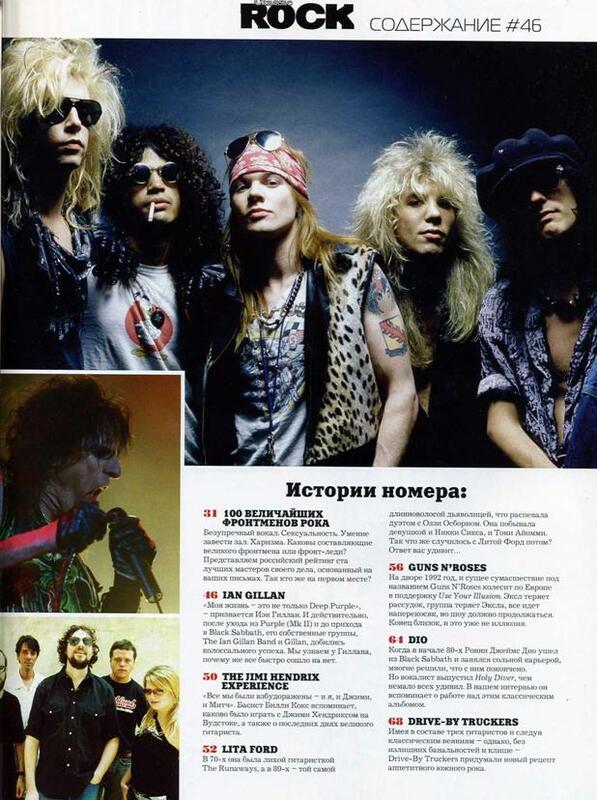 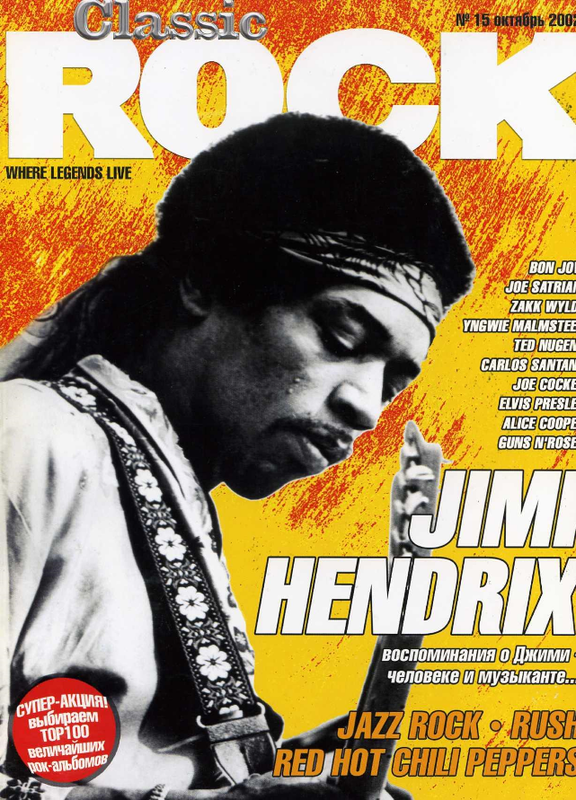 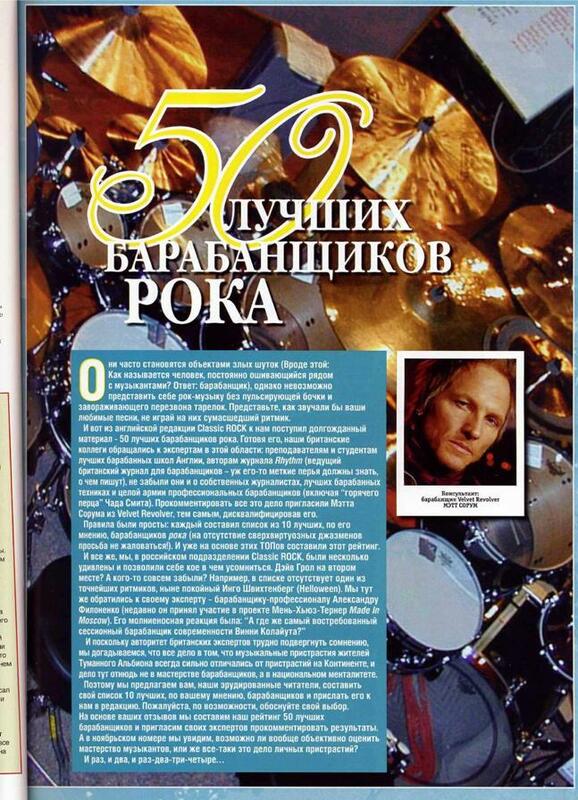 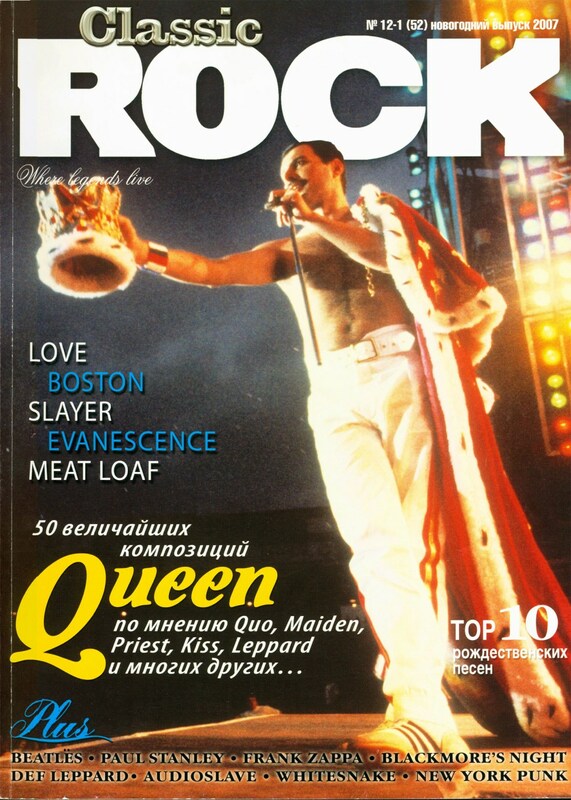 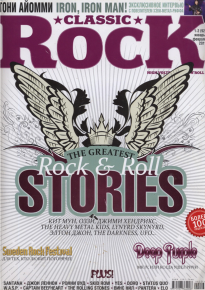 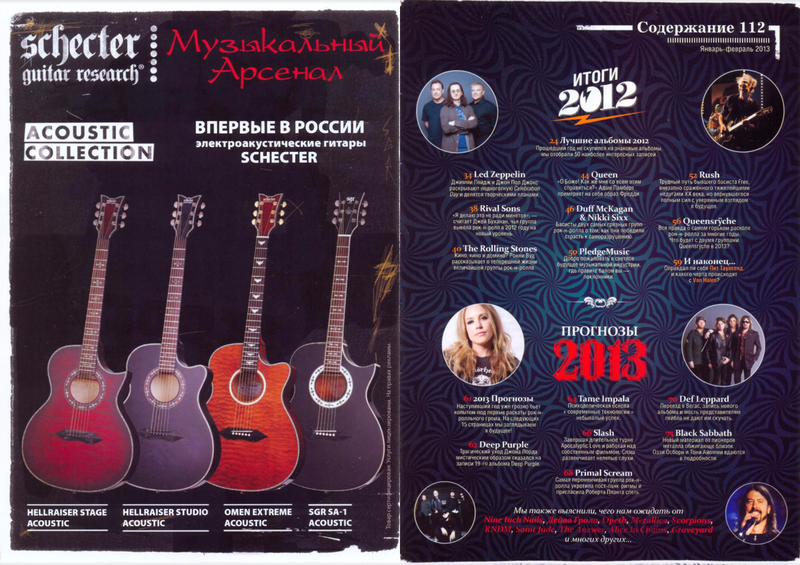 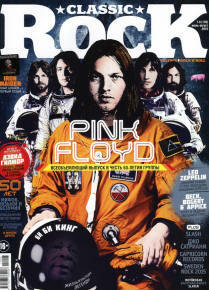 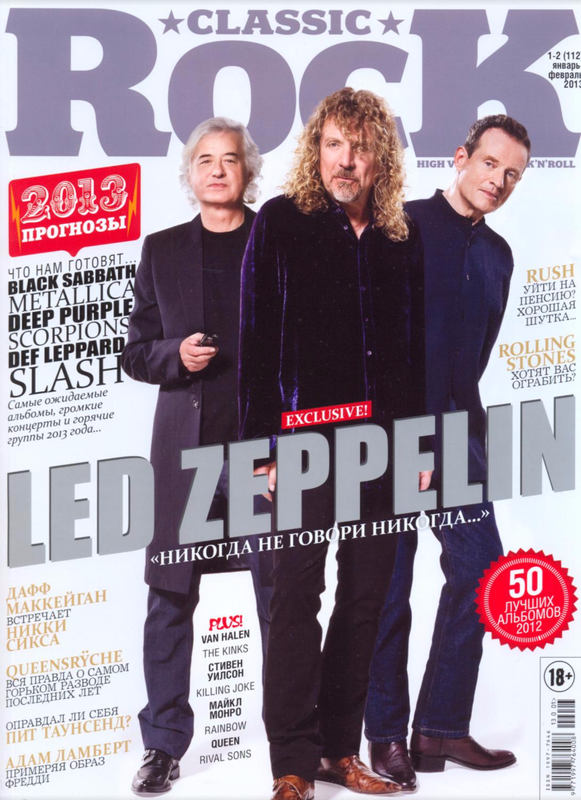 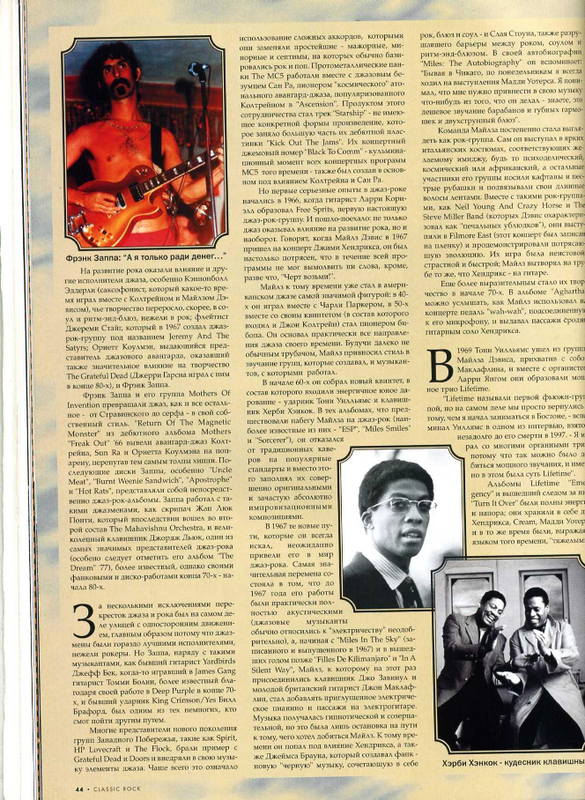 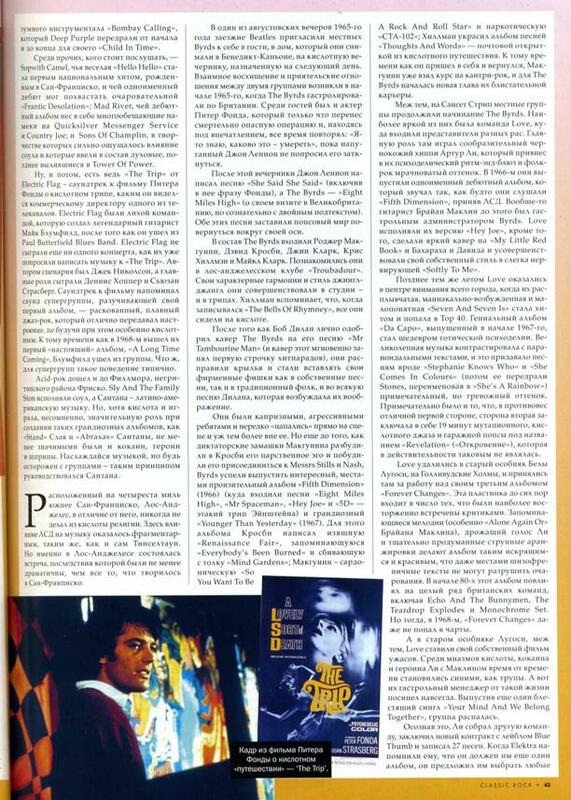 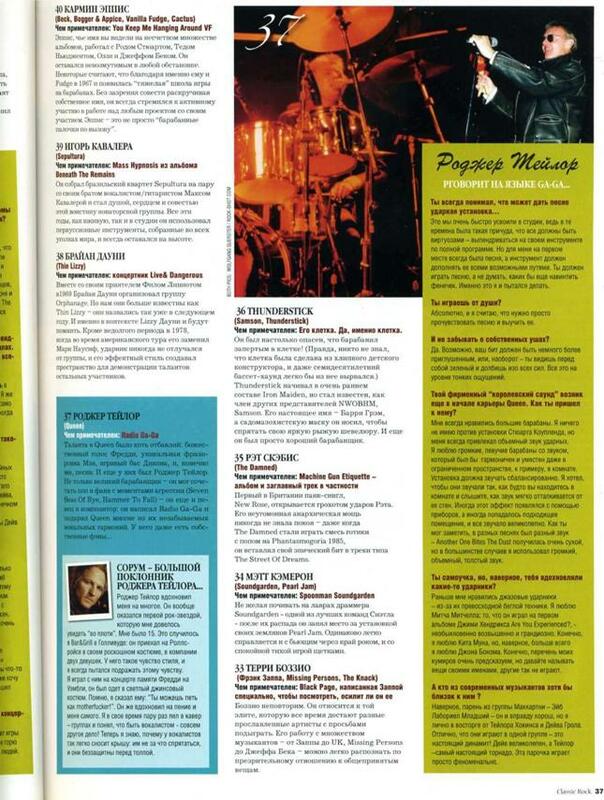 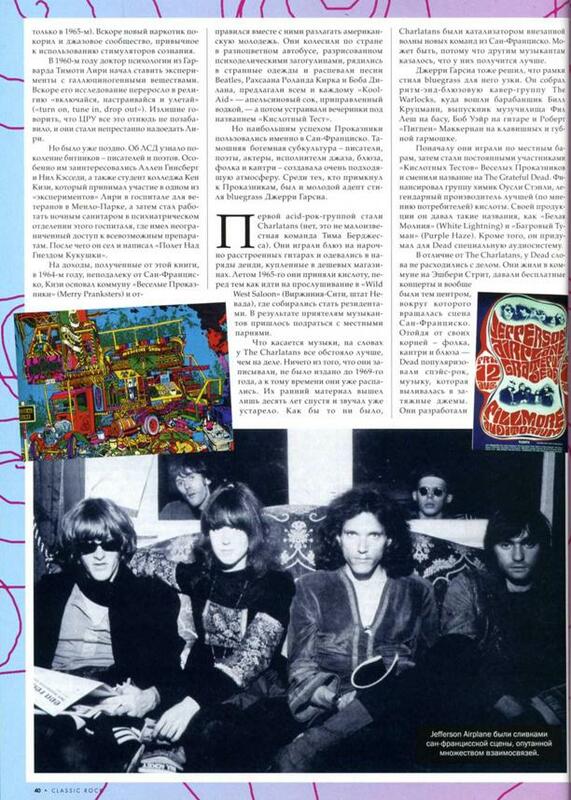 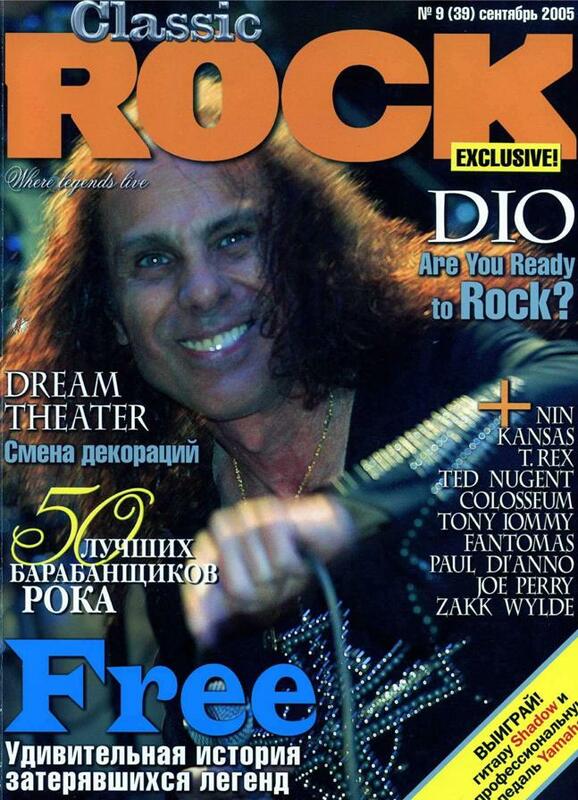 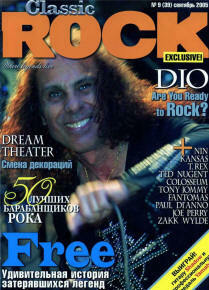 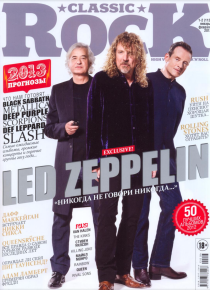 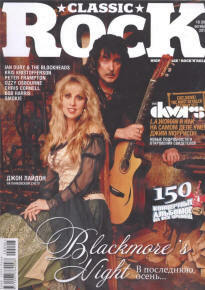 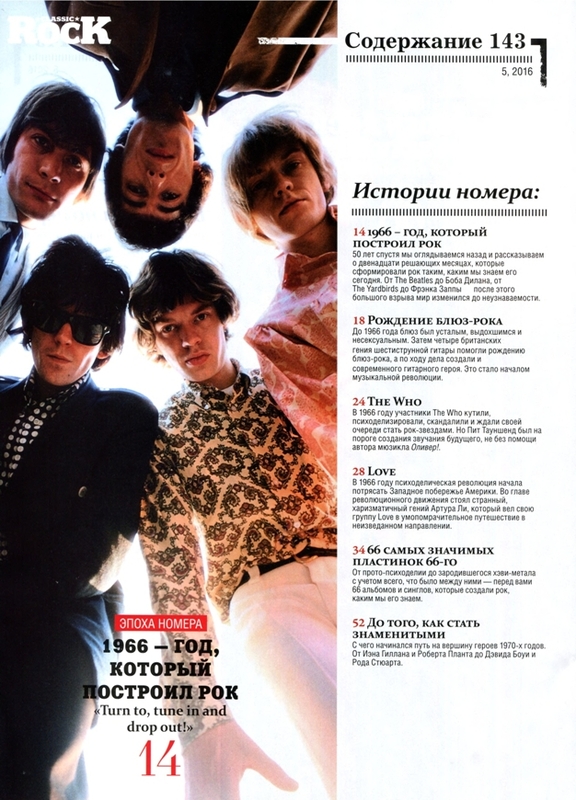 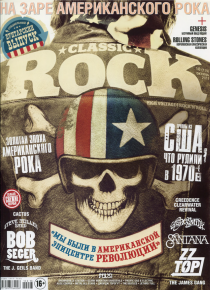 Russian edition of the UK Classic Rock magazine. 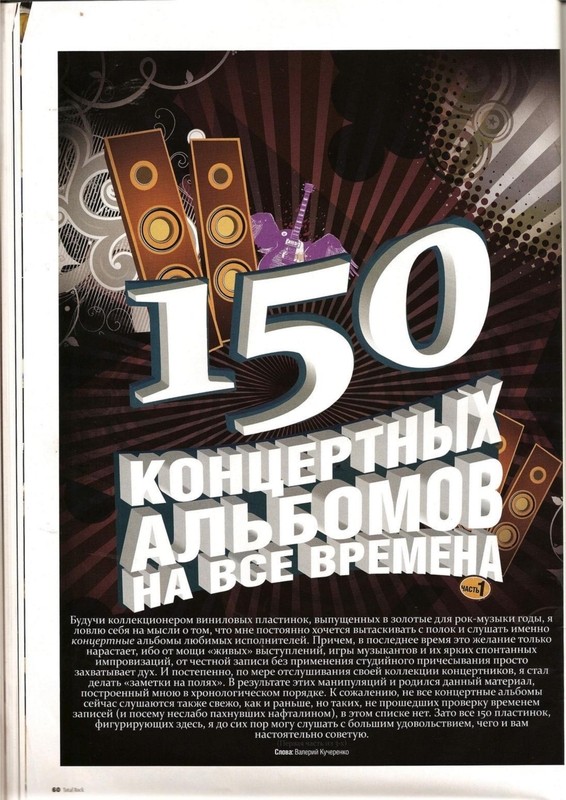 Published monthly, 10 issues per year. 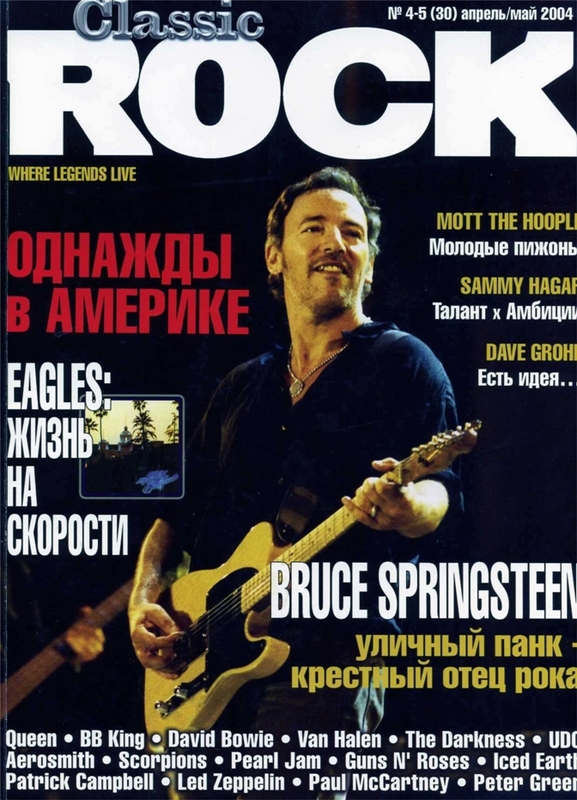 First issue was printed in April 2001. 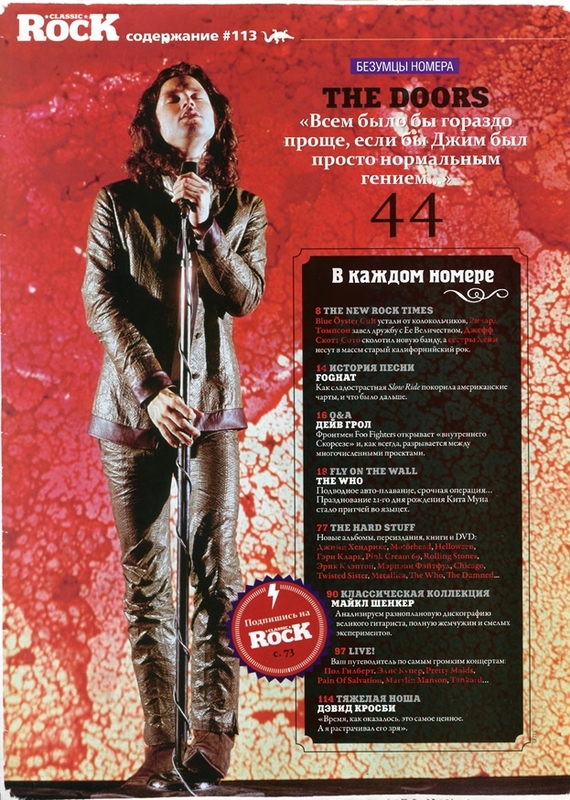 Last printed issue was #143, published in November 2016. 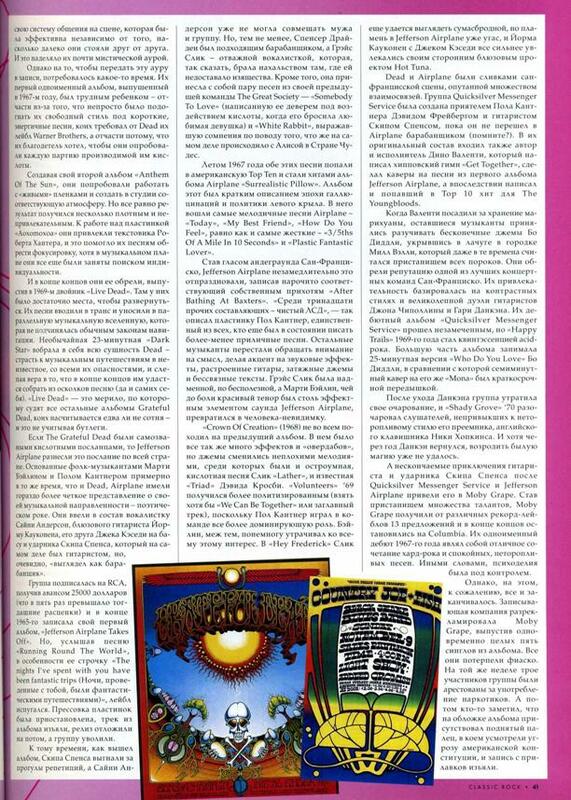 ISSN 1997-7646. 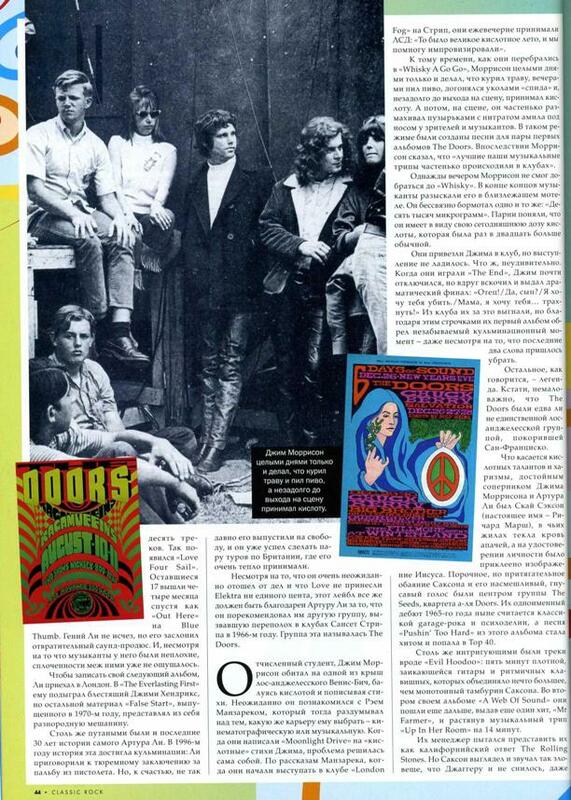 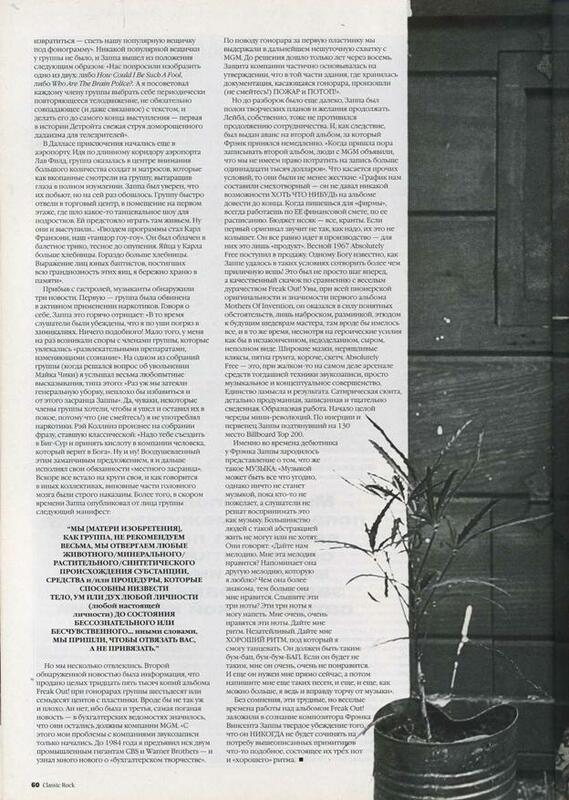 The original article by Hugh Fielder on 60s Los Angeles acid scene was published in Classic Rock, November 2003. 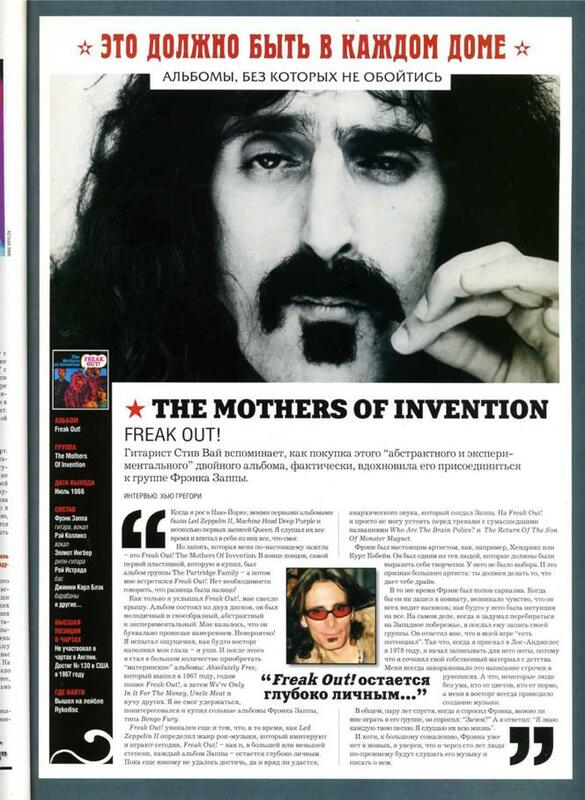 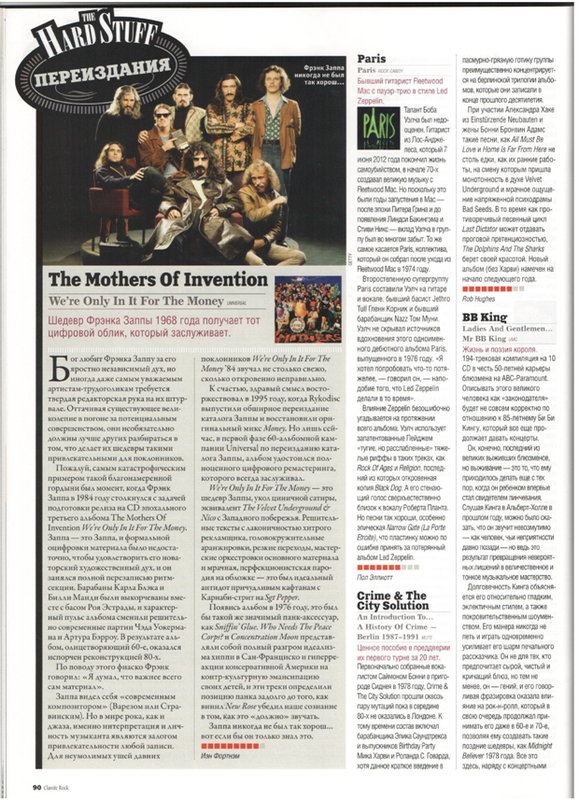 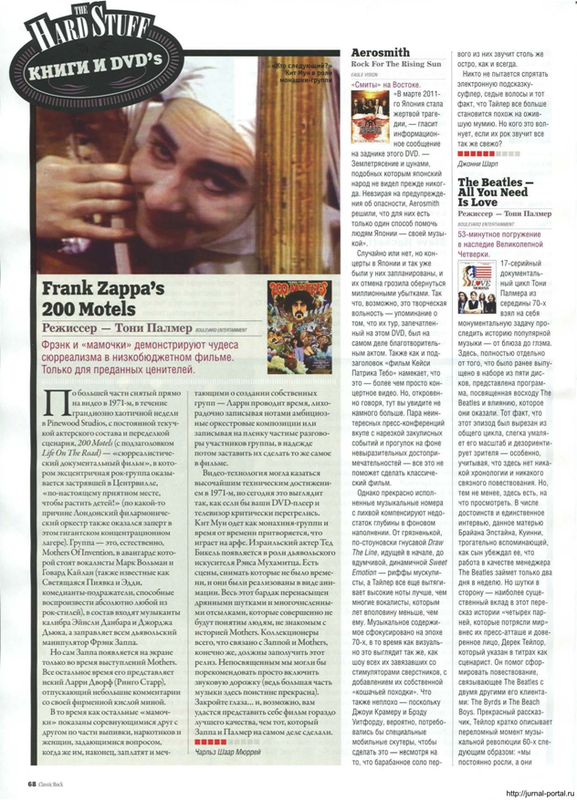 Frank Zappa and Captain Beefheart are both mentioned briefly on page 46 plus a picture of the Mothers of Inventions is added. 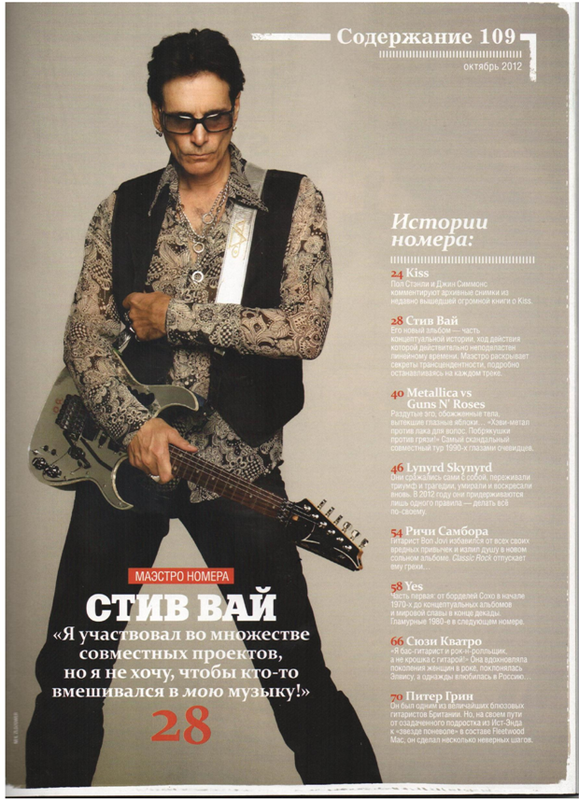 Stevie Vai tells why Freak Out! 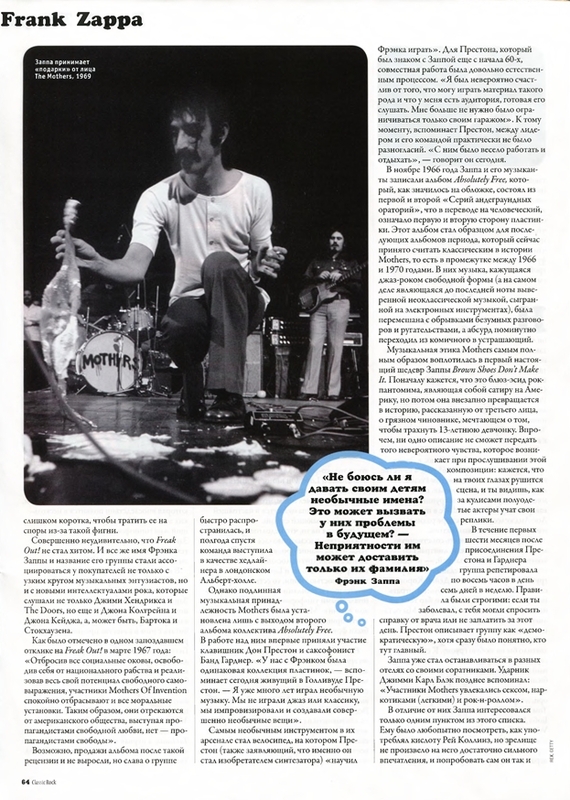 is so important for him. 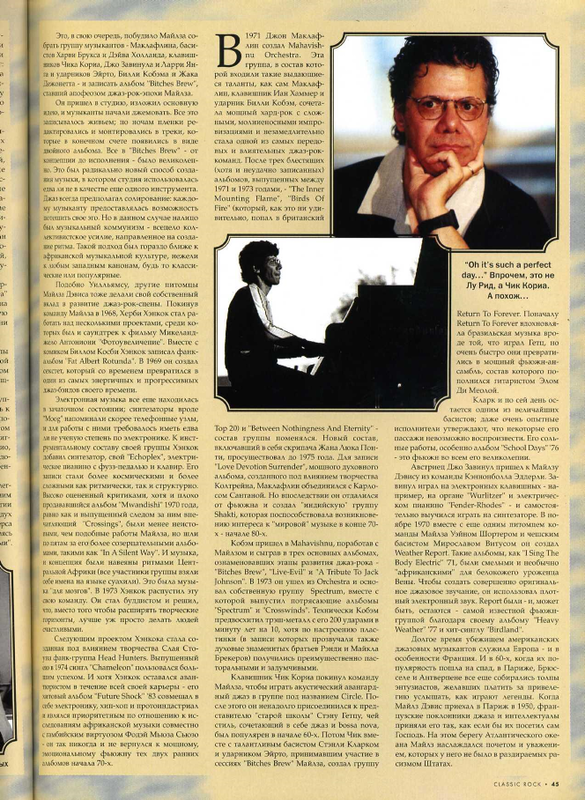 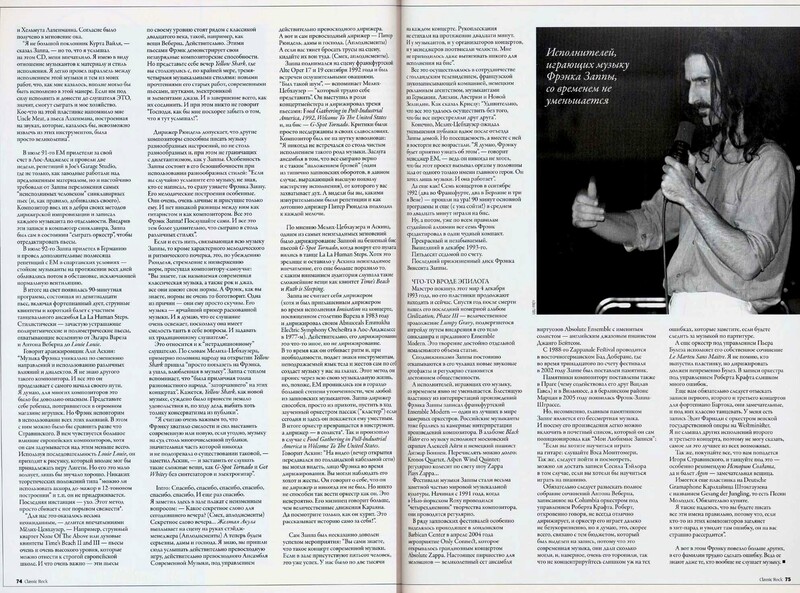 Interview by Hugh Gregory. 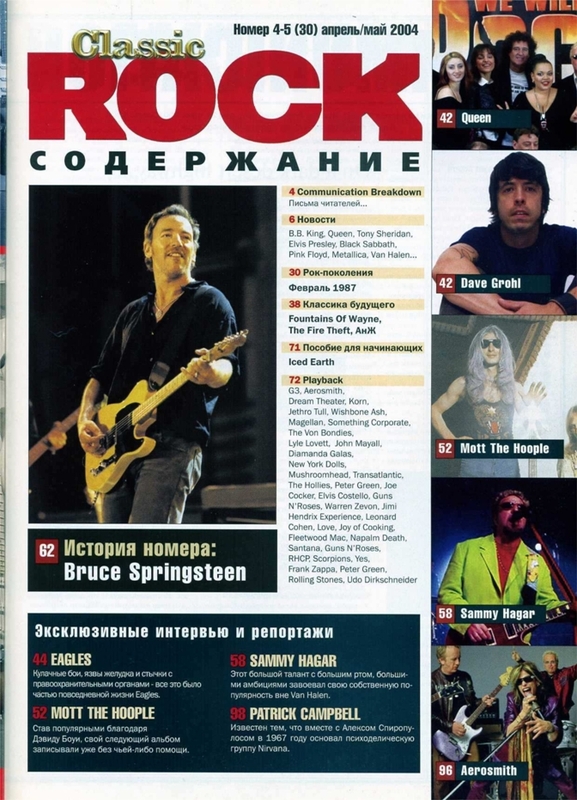 This list is voted by the readers of Russian edition. 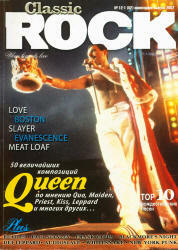 Number one was Freddie Mercury, followed by Robert Plant, Ozzy Osbourne, Mick Jagger and Ronnie James Dio. 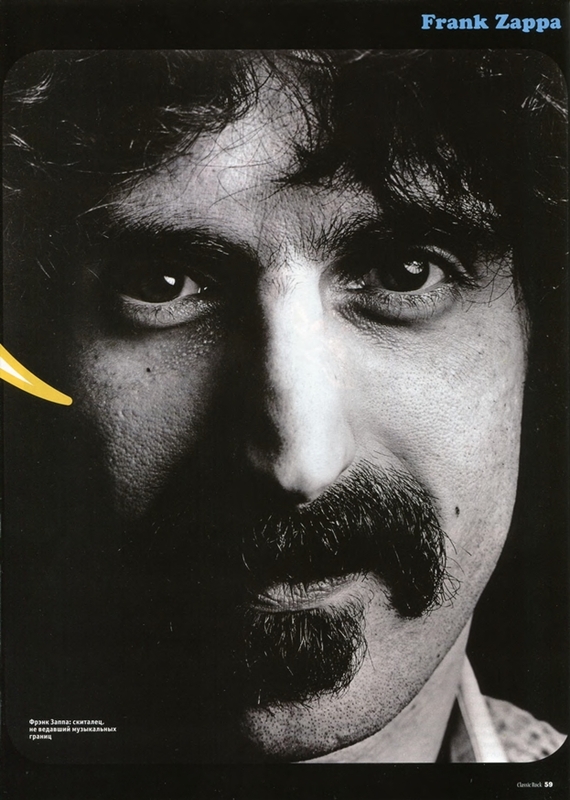 Frank Zappa was listed as #53. 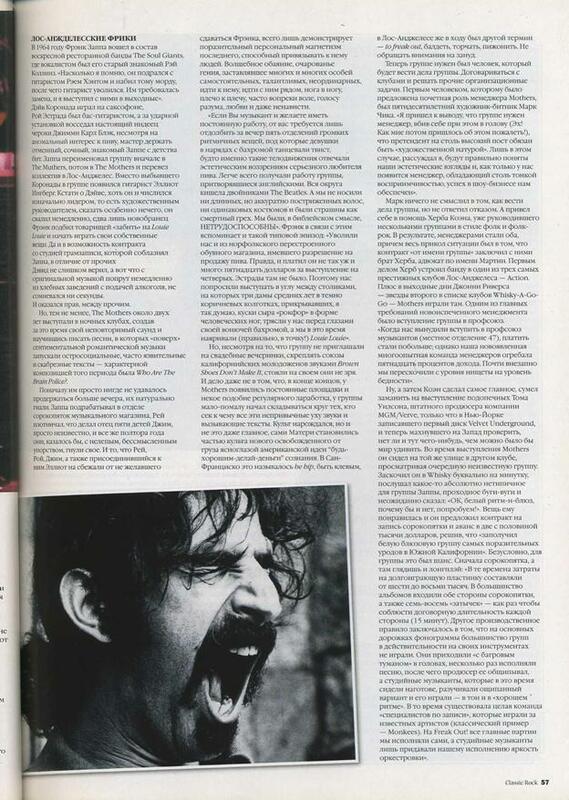 The text of the Zappa entry is somewhat surprising. 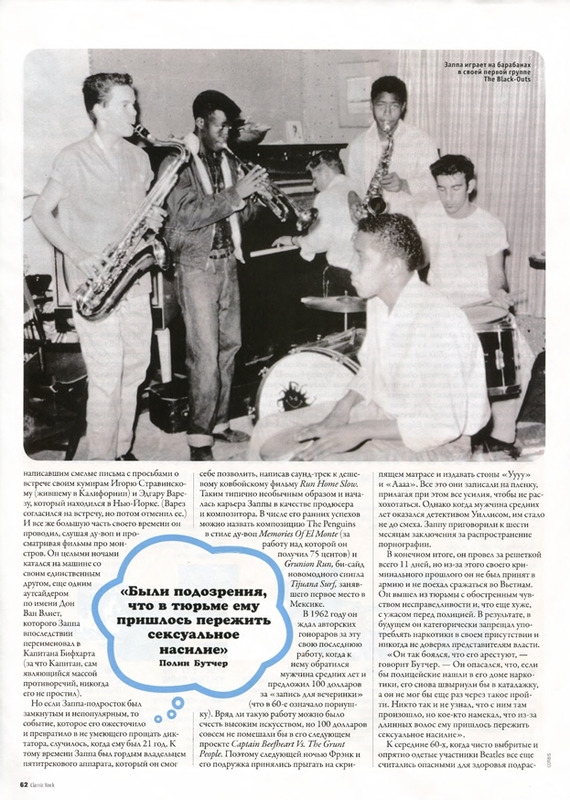 Самый добрый рок-музыкант планеты с шикарными усами и волосами. 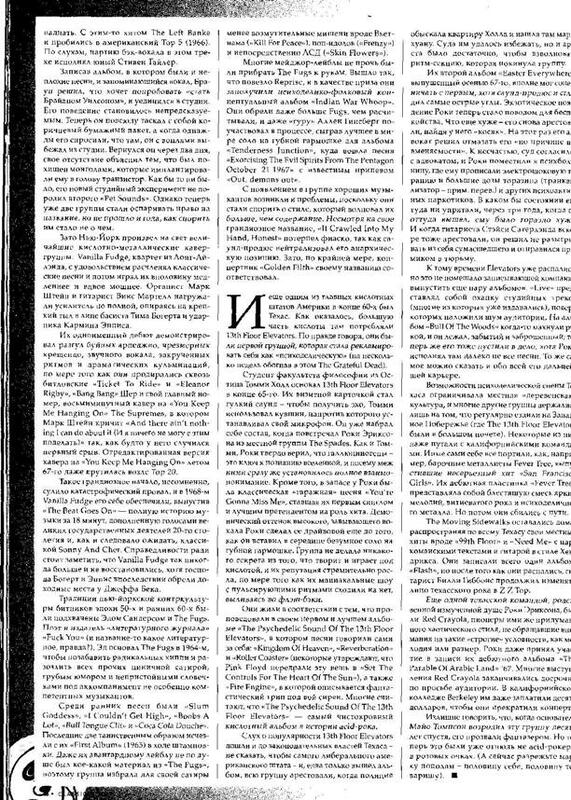 Фрэнк, сын очень состоятельных родителей, не был заносчивым и гордым и посвятил свою жизнь служению музыке и музыкантам, которым он помогал направо и налево. 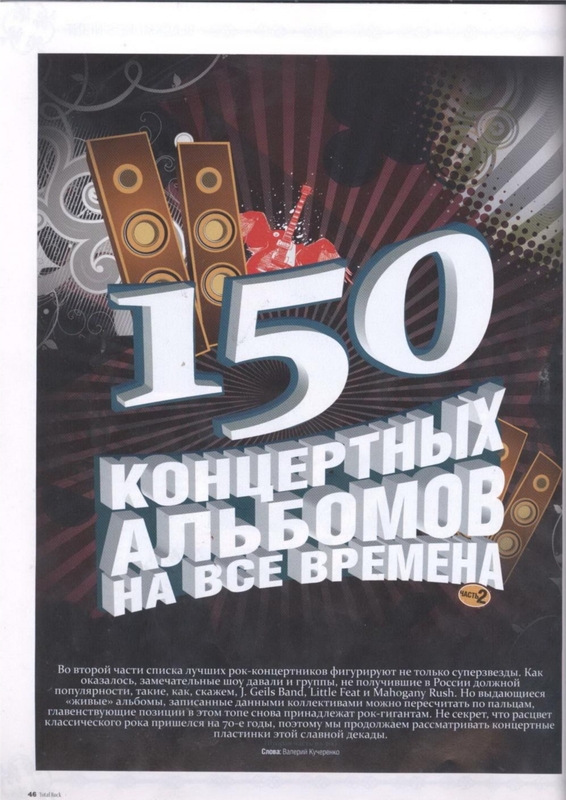 Заппа - долгожитель на рок-пьедестале и вечный экспериментатор, способный смешать джаз, фолк, рок и классику в нужных пропорциях, чтобы получить шедевр. 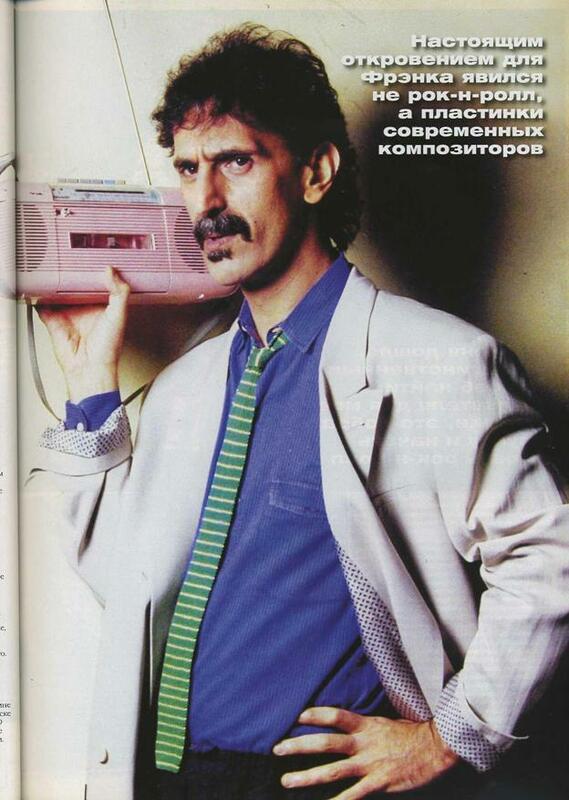 The kindest rock musician on this planet, with elegant mustache and hair. 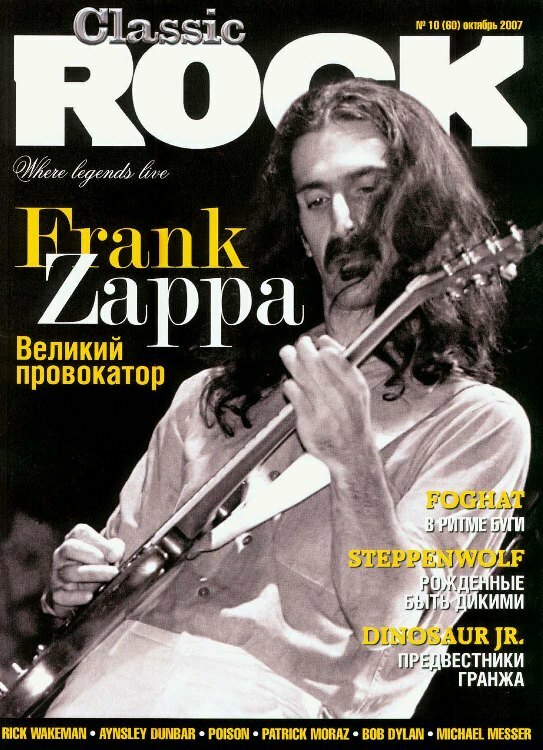 Frank, the son of very wealthy parents, wasn't arrogant and proud, and devoted his life to serving the music and musicians, which he helped a lot. 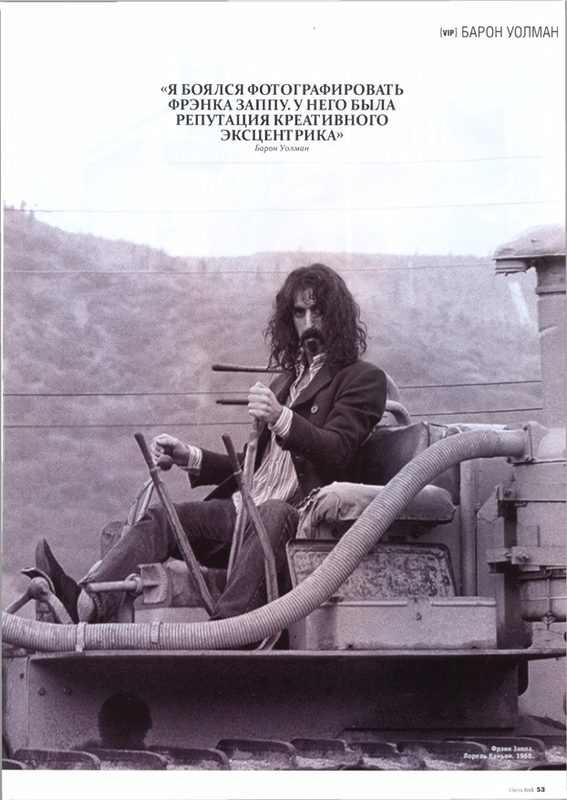 Zappa - long-liver on a rock pedestal and eternal experimenter, was able to mix jazz, folk, rock and classical music in the right proportions to get a masterpiece. 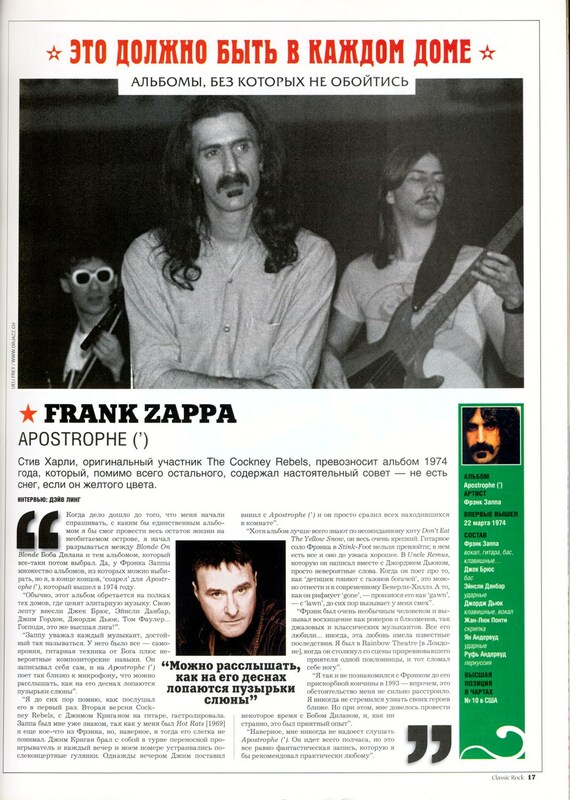 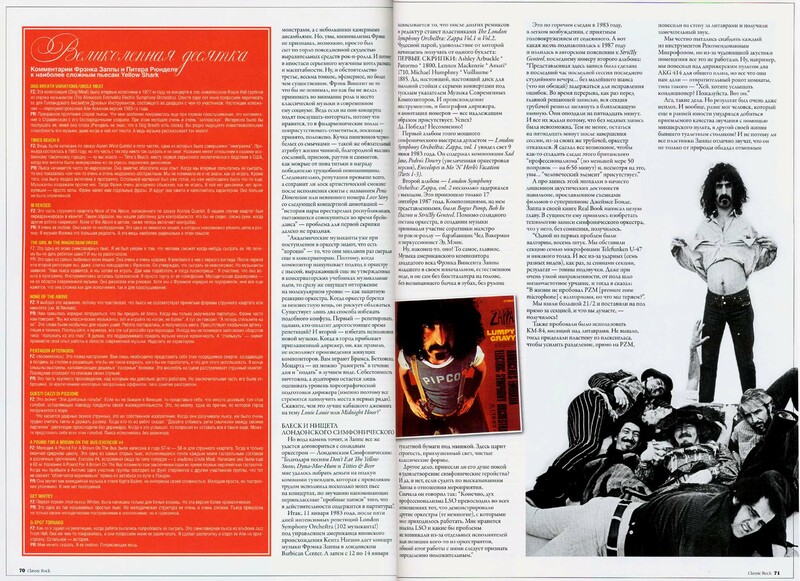 Steve Harley (Cockney Rebel) tells about his favorite Zappa's album "Apostrophe". 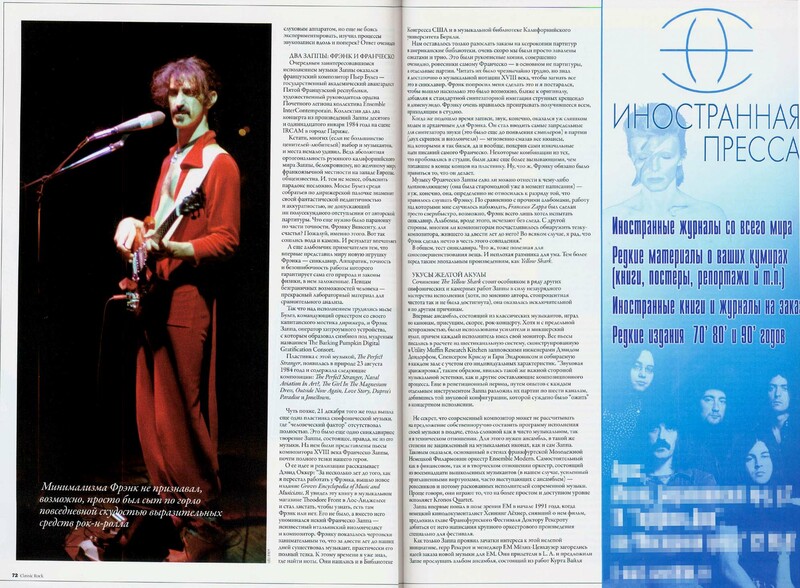 Interview by Dave Ling. 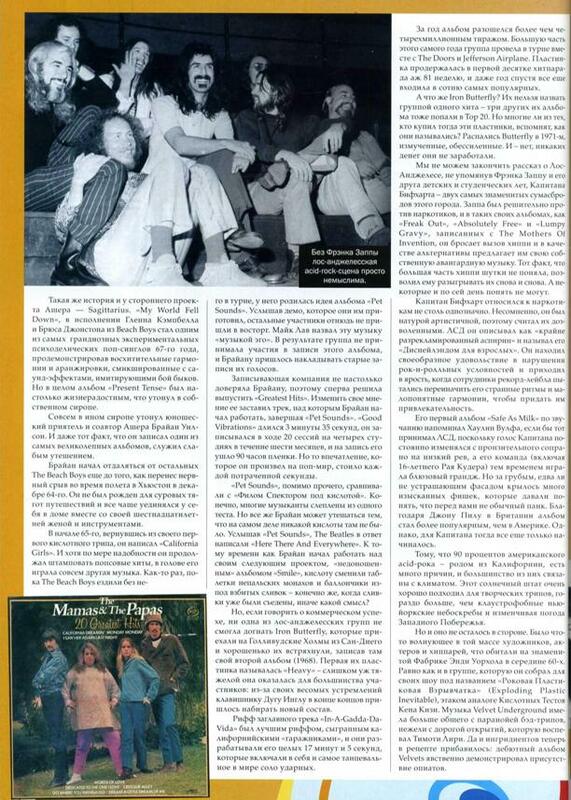 About "Freak Out!" 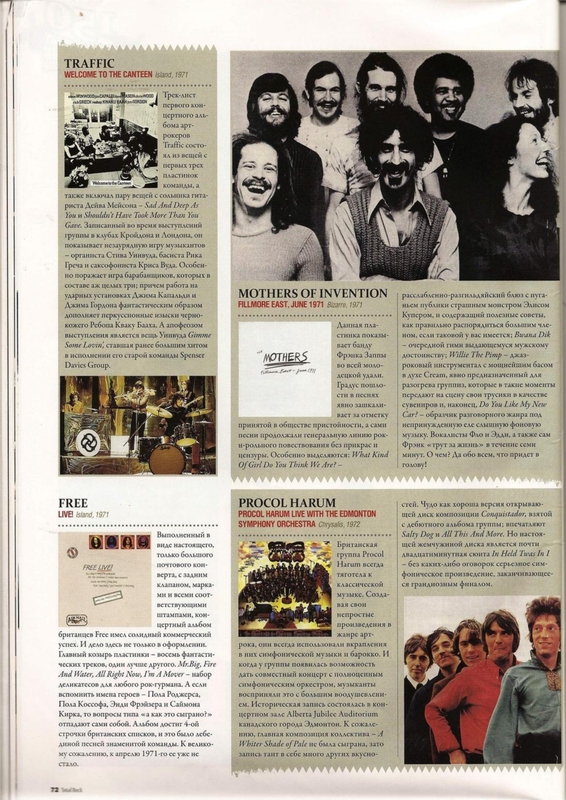 album and early days of FZ & The Mothers of Invention. 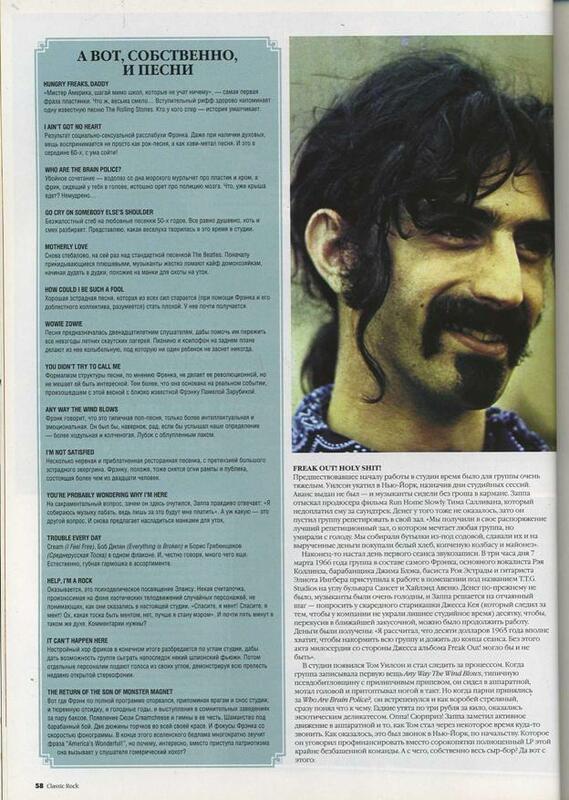 Zappa overview article. 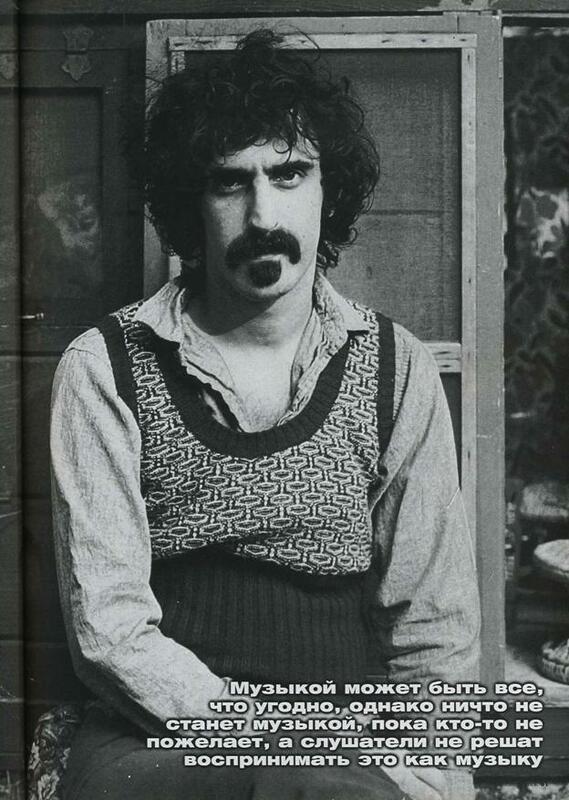 Author is pointing to his forthcoming book "Zappa. 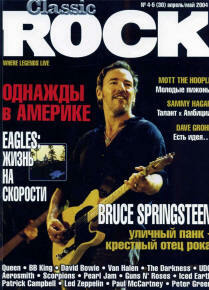 American composer". 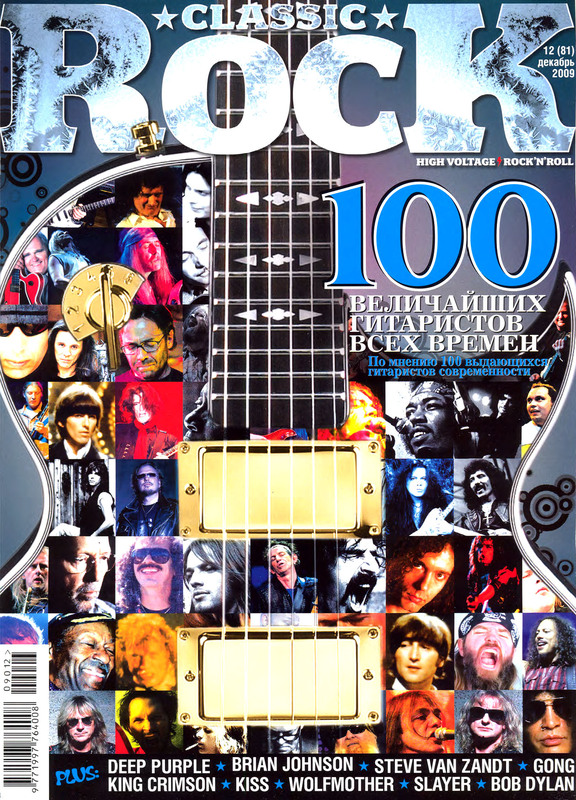 Original UK edition of "100 Greatest Guitarists Of All Time". 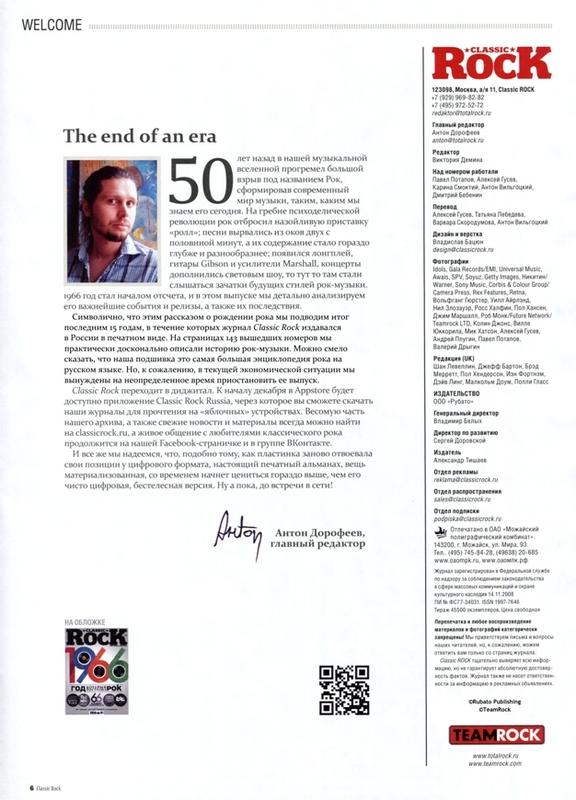 The list compiled by V.Kutcherenko will be published in 3 consecutive issues. 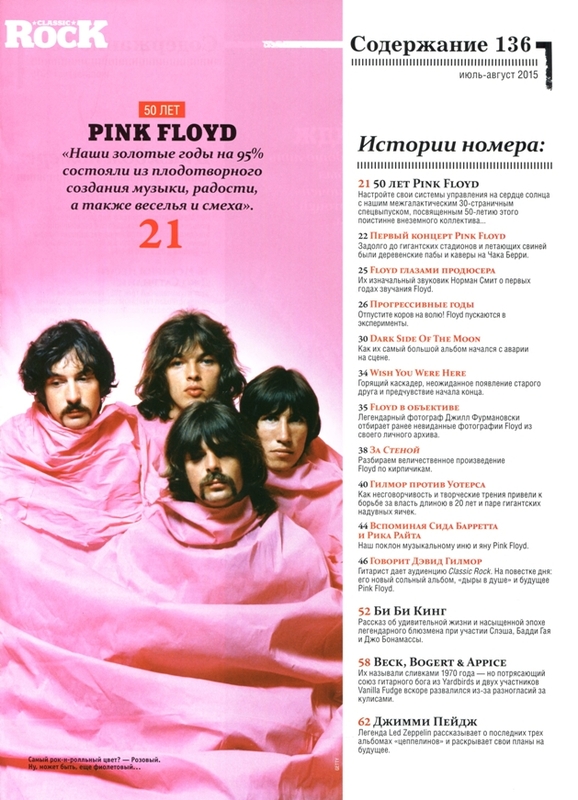 It is presented in a chronological order. 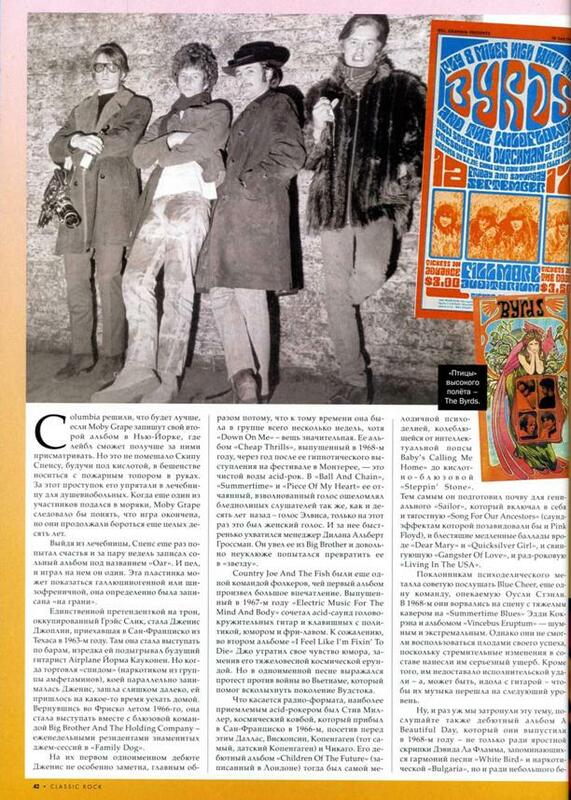 Part I covers years 1960-1974. 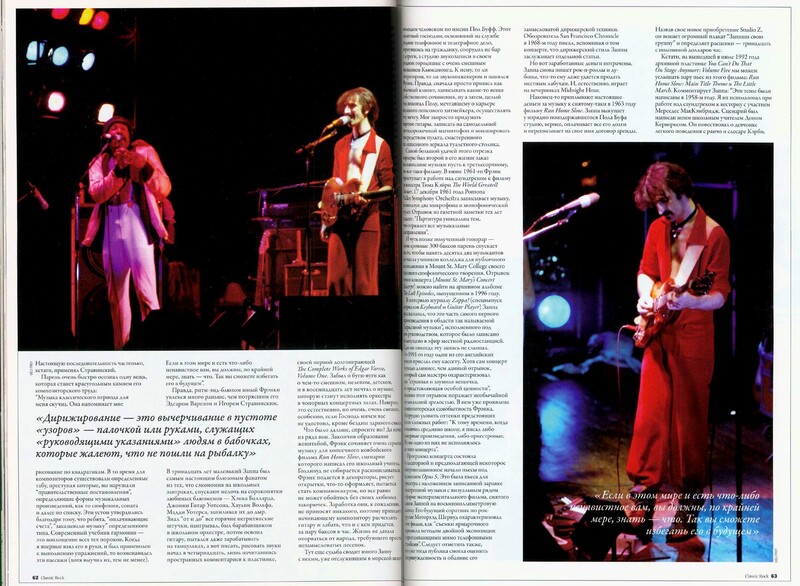 Part II of this list of greatest live albums presents 50 albums from 1975-1978. 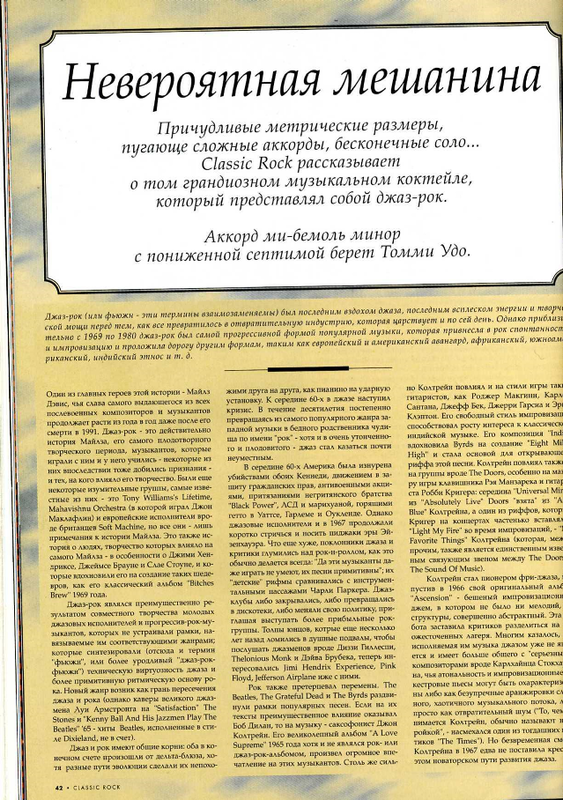 The author believes that this was the best time to classical rock. 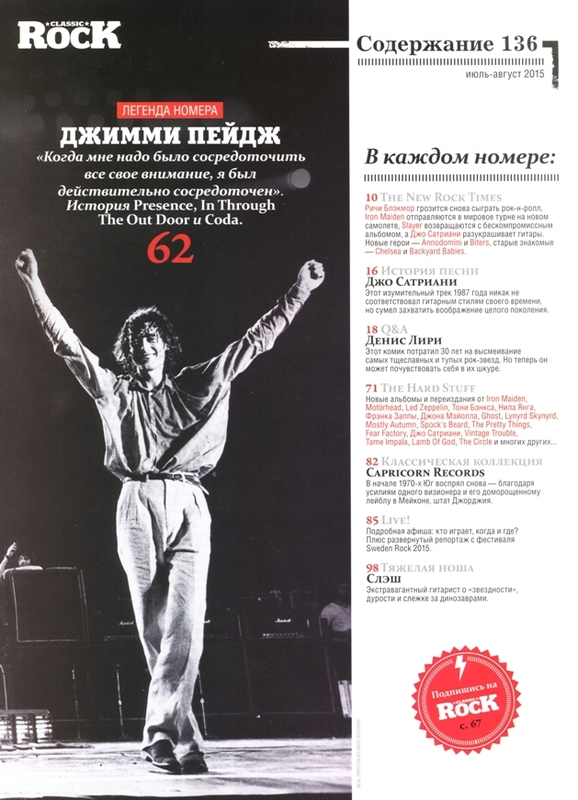 Part III of the list of greatest live albums (Russian version, as author states) contains albums from 1979 - 1988. 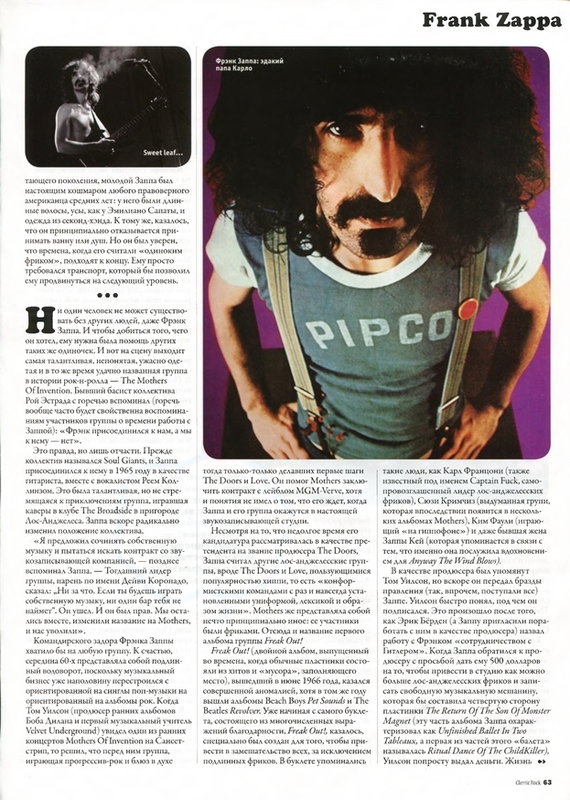 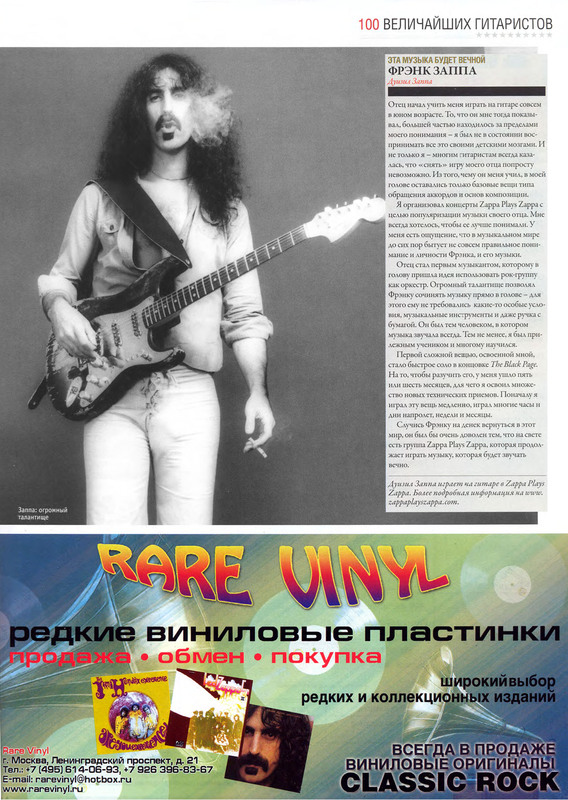 As V.Kucherenko is a Frank Zappa fan (and author of ZAPPA. 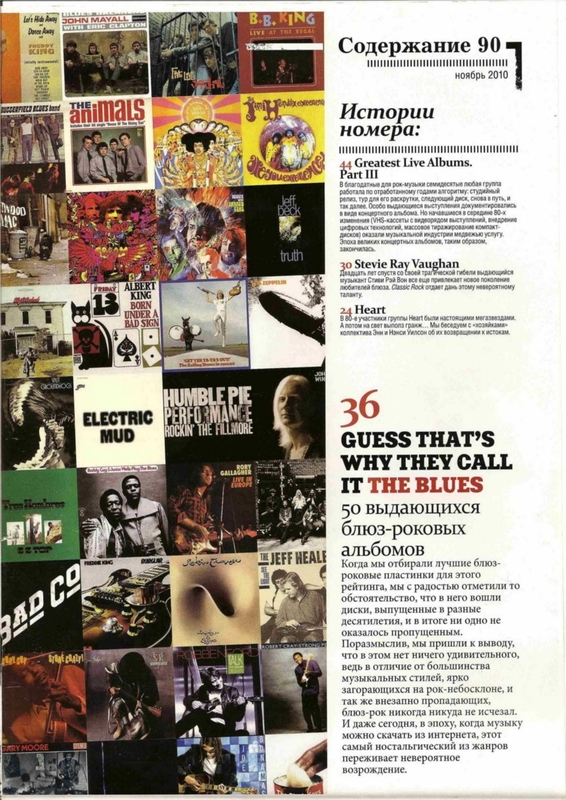 American composer) he included 4 Zappa live albums into this list. 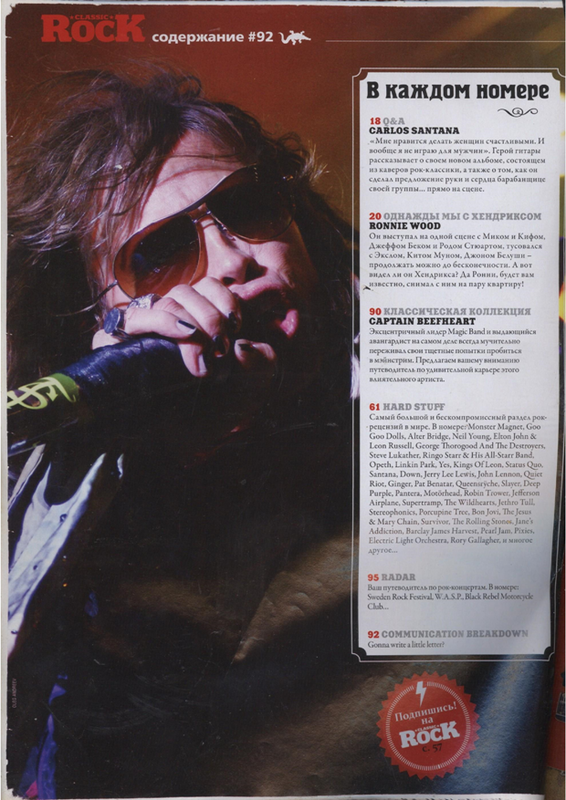 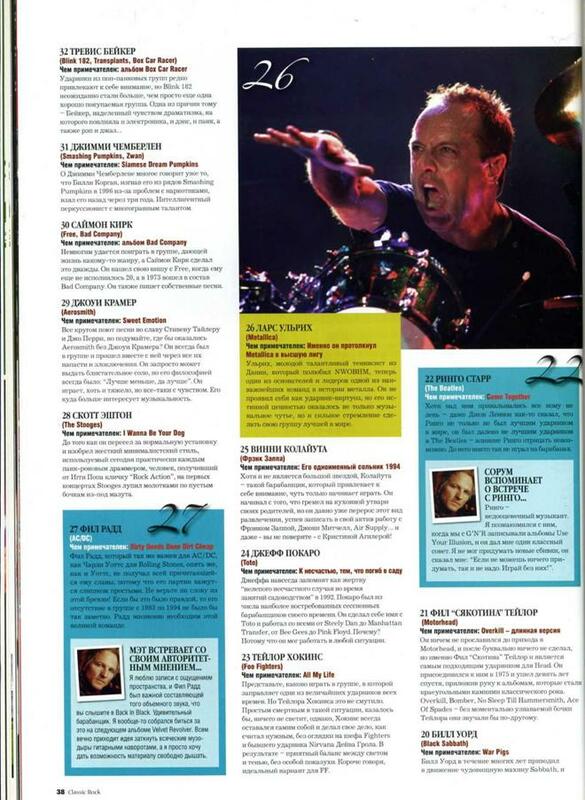 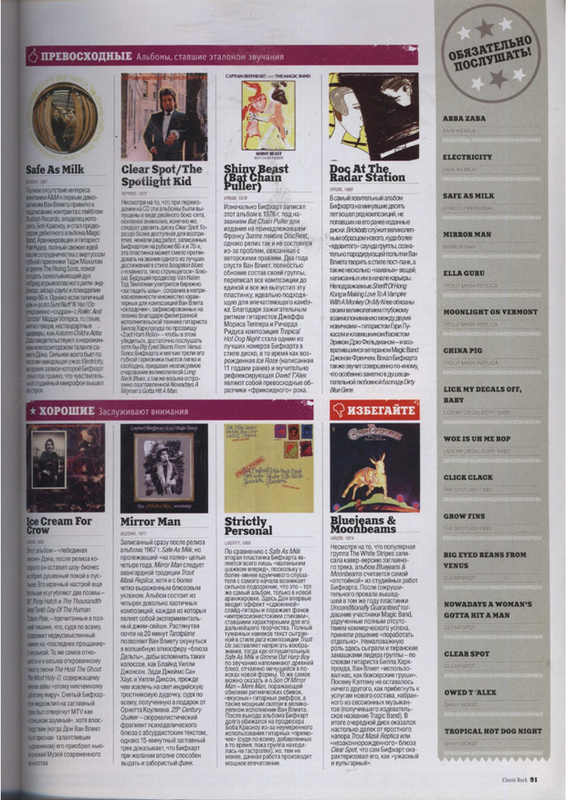 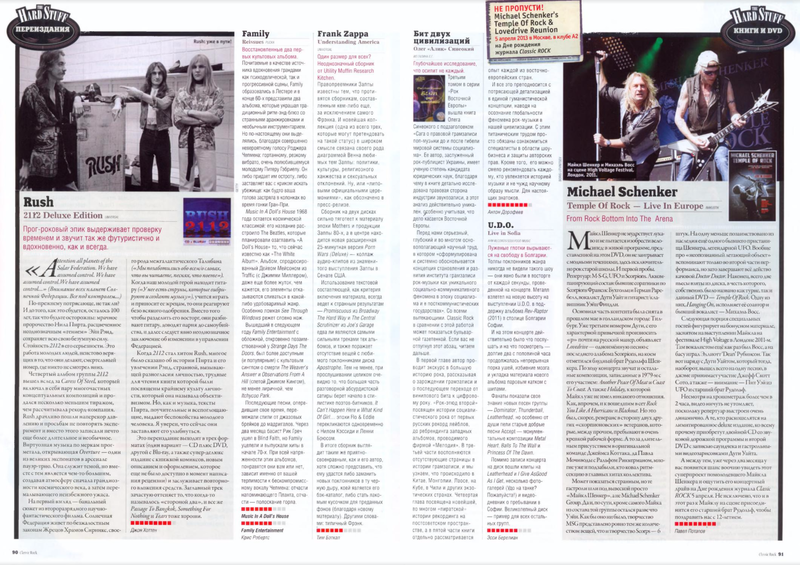 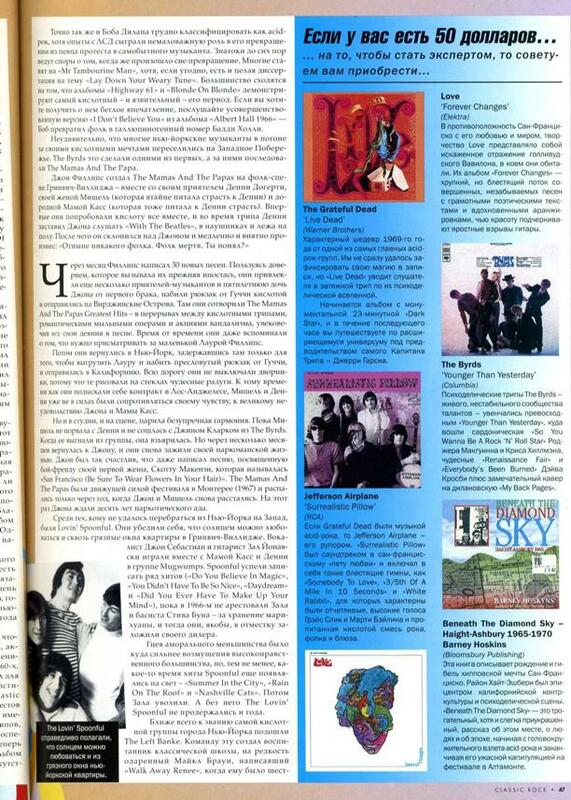 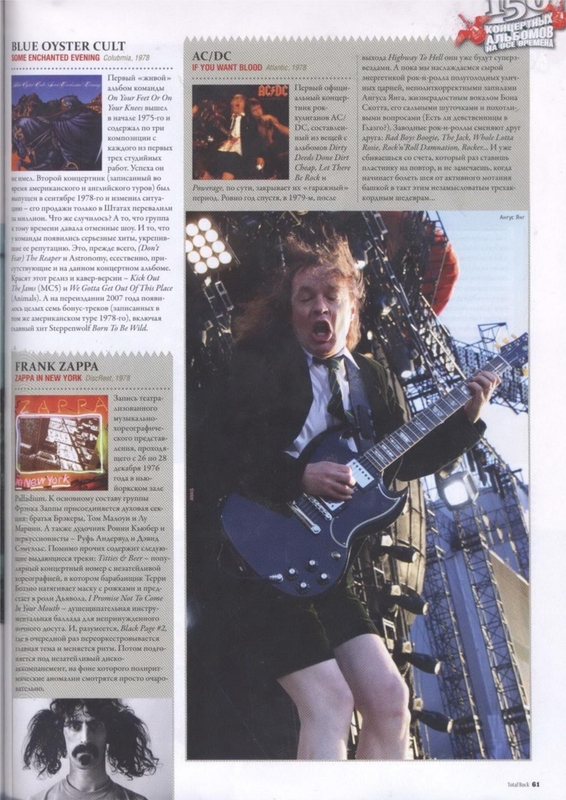 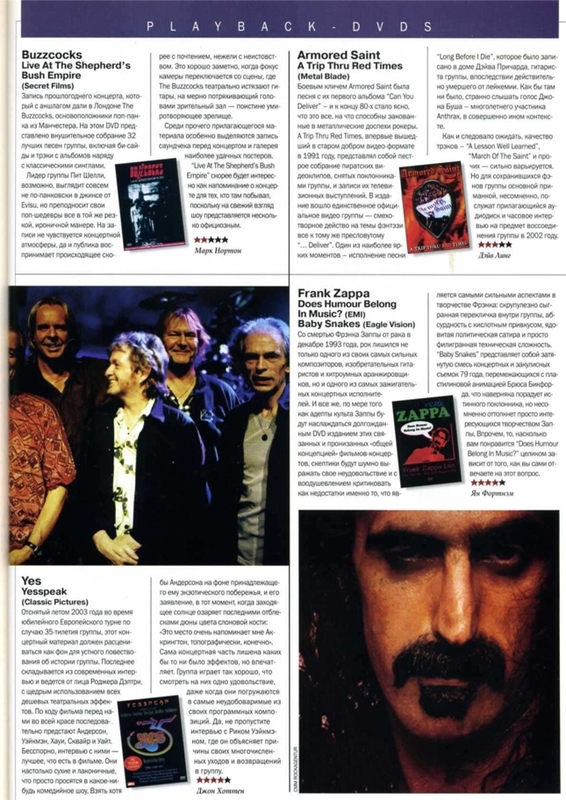 Album review translated from Classic Rock, #176, October 2012. The Fabulous Furry Freak Brother! 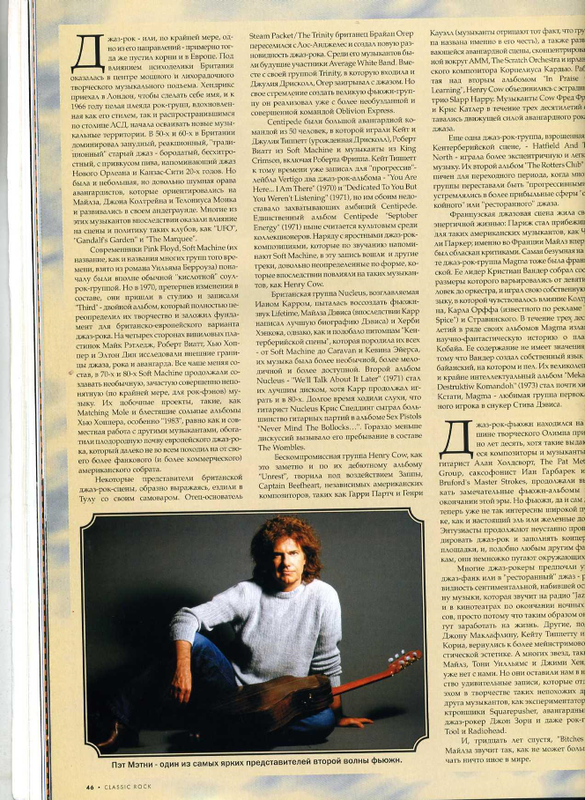 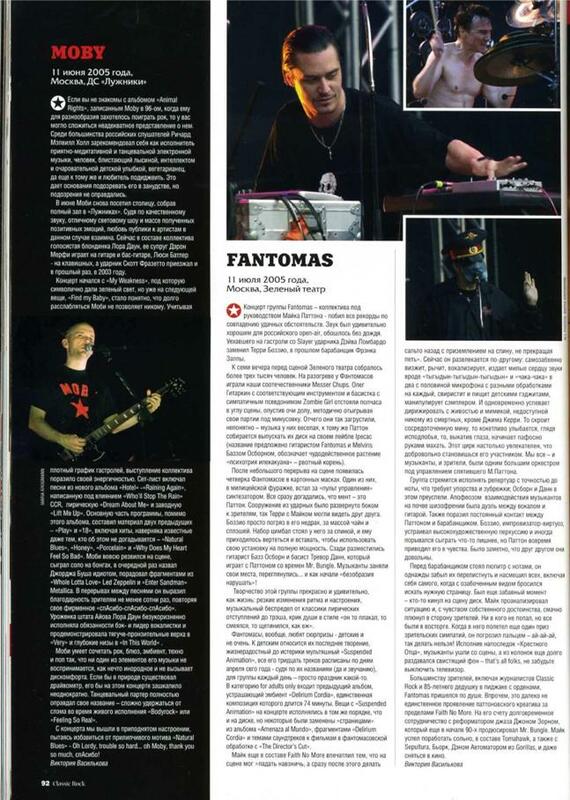 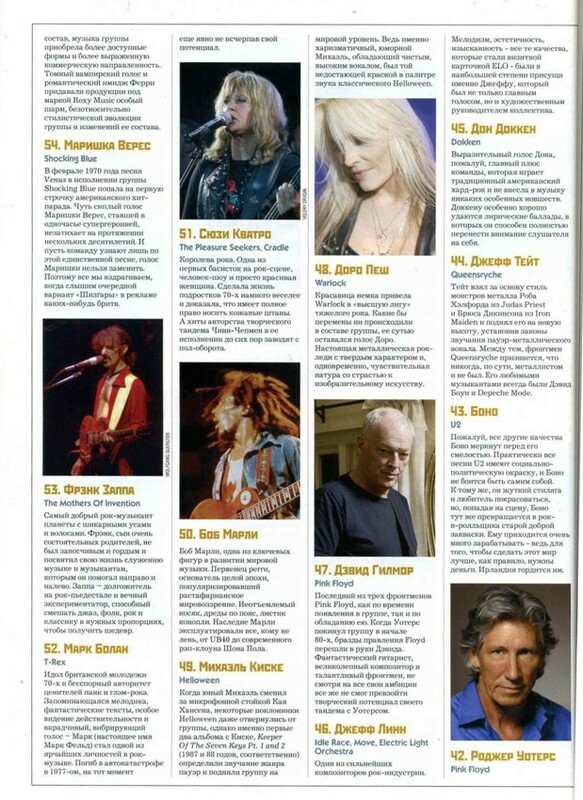 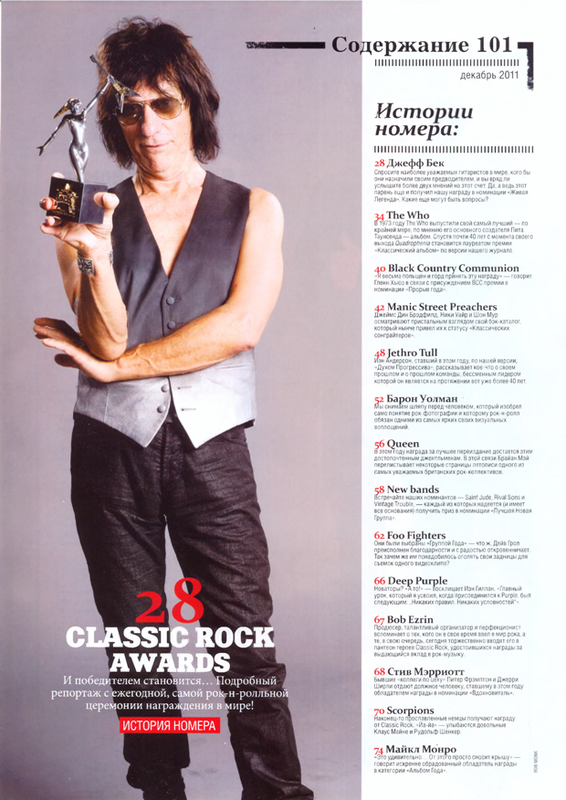 This article is translated from Classic Rock, December 2012. 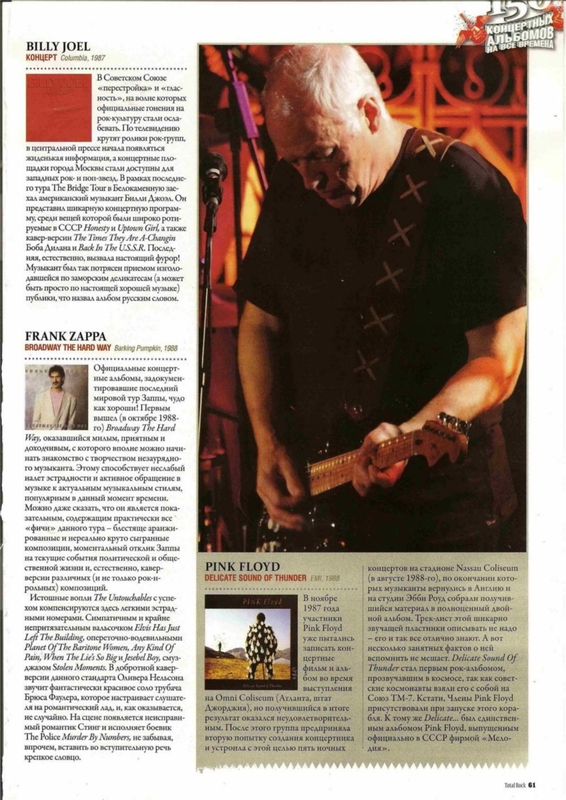 Translated from Classic Rock, #188, September 2013. 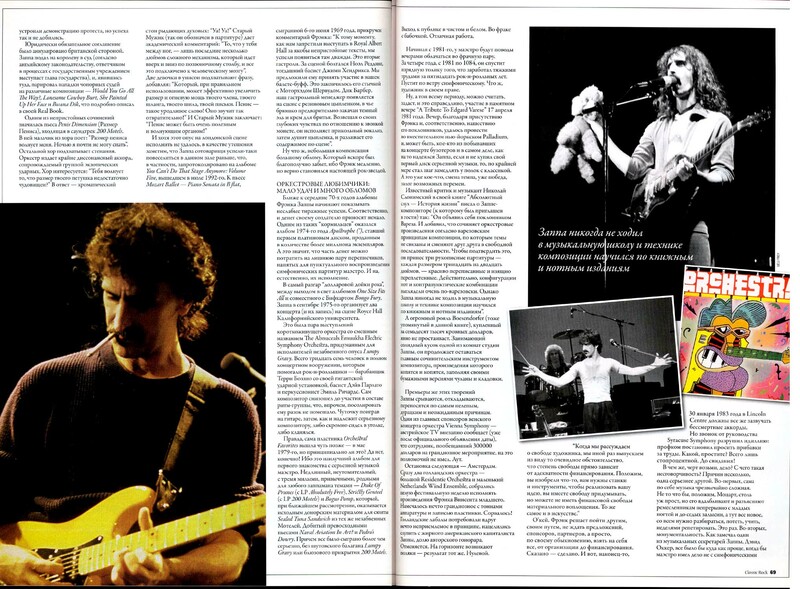 Interview with Dweezil Zappa, included into AC/DC special. 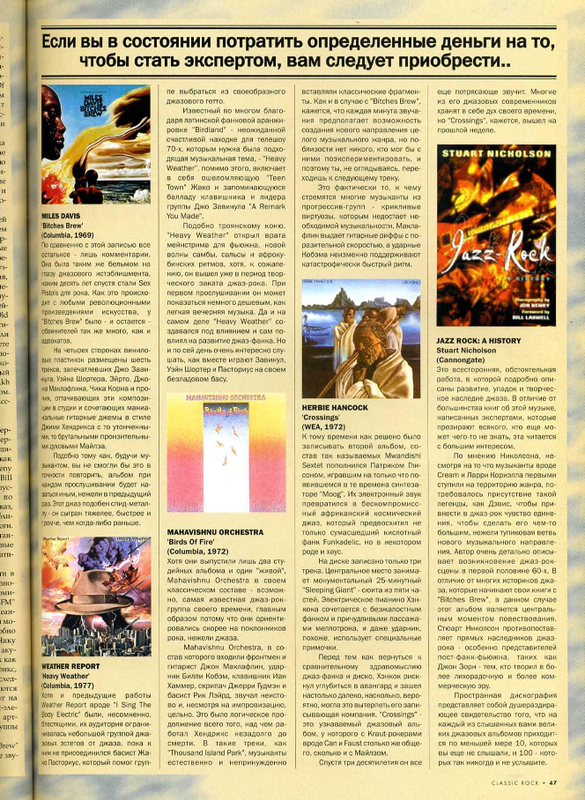 Dance Me This album review, translated from The modern day composer refuses to die. 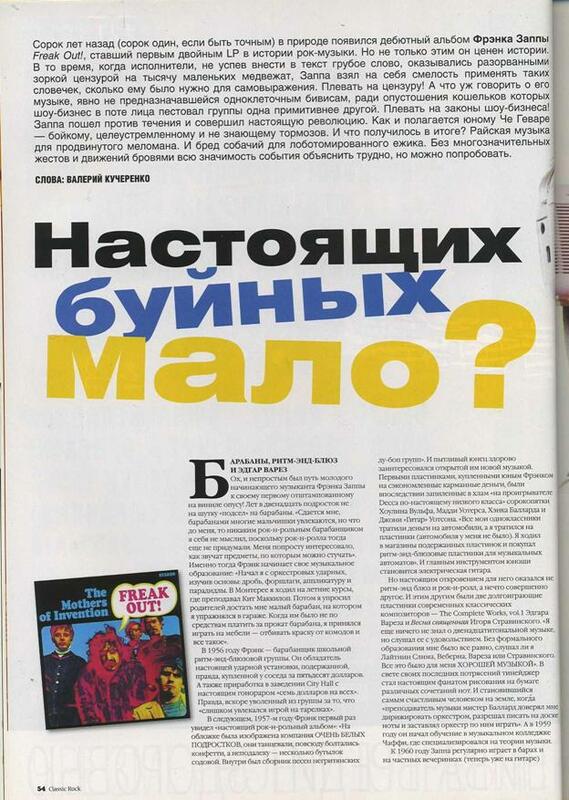 Freak Out! 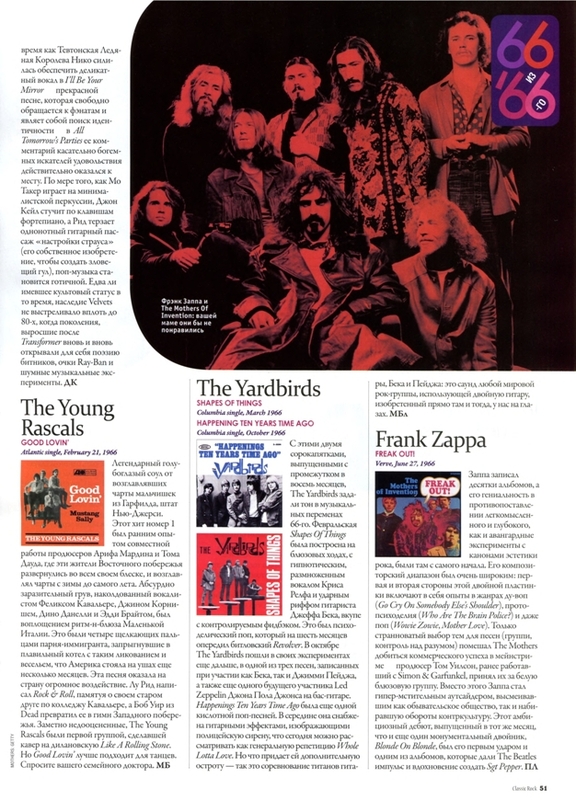 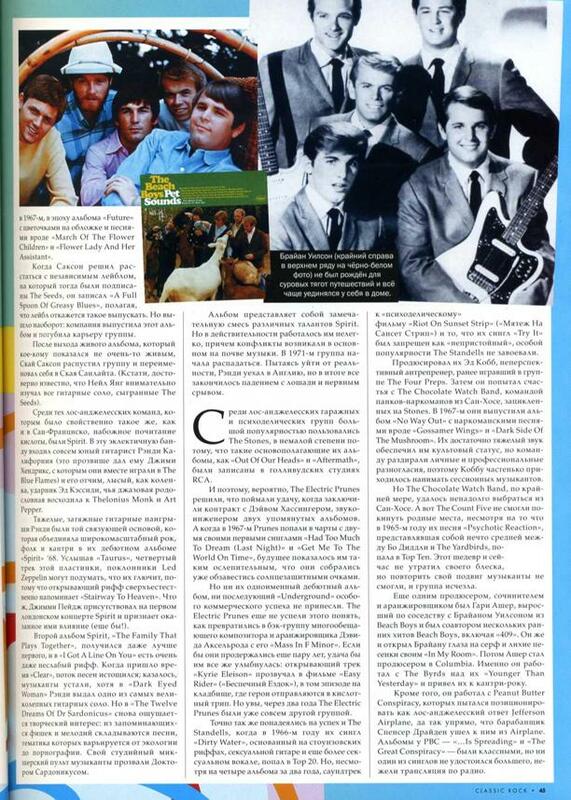 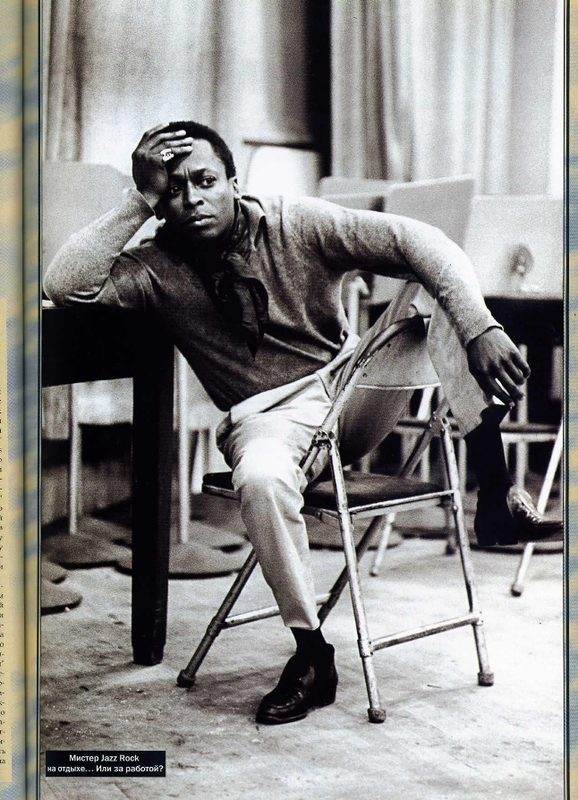 album review, as a part of article "66 most important albums from 1966".